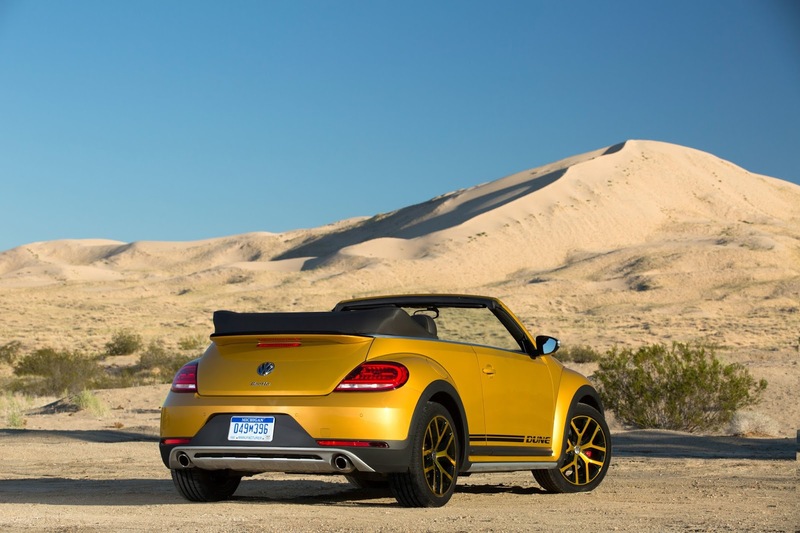 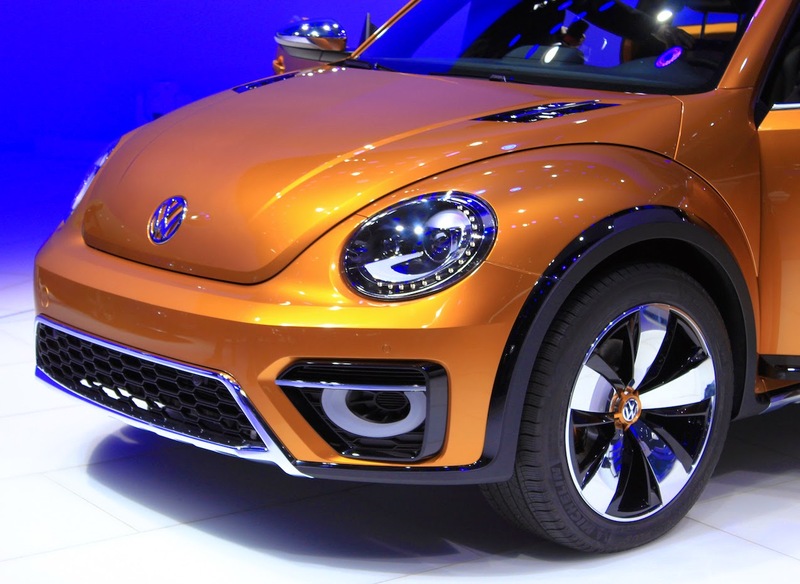 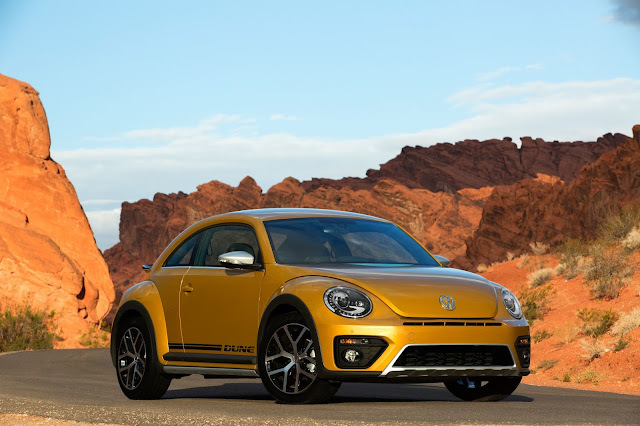 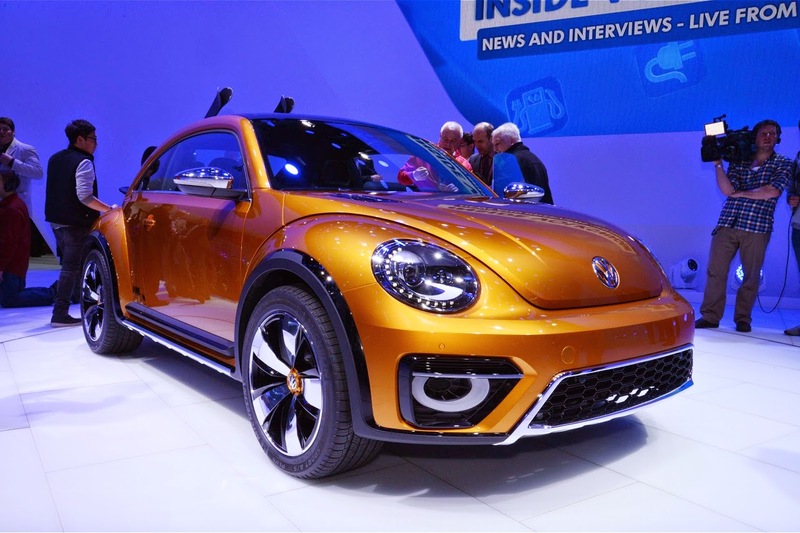 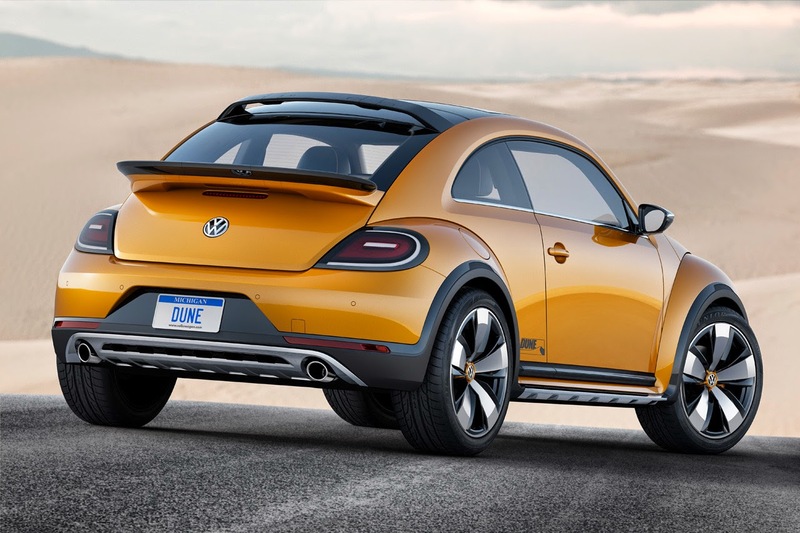 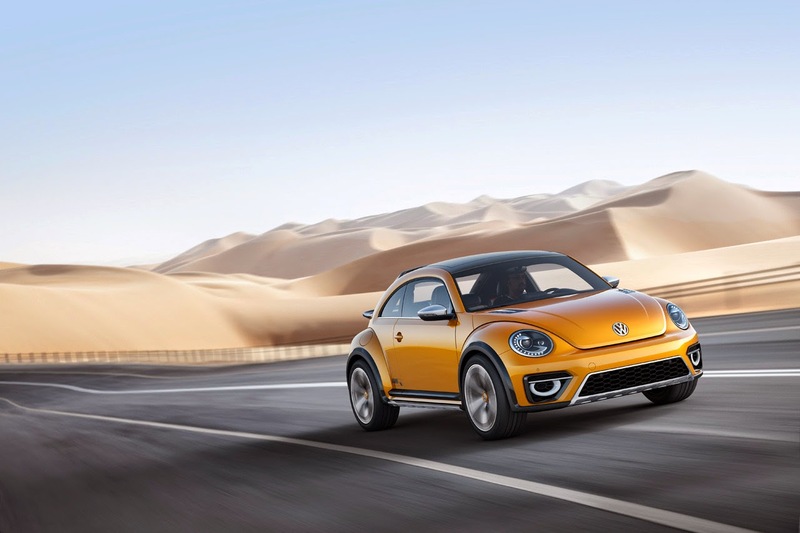 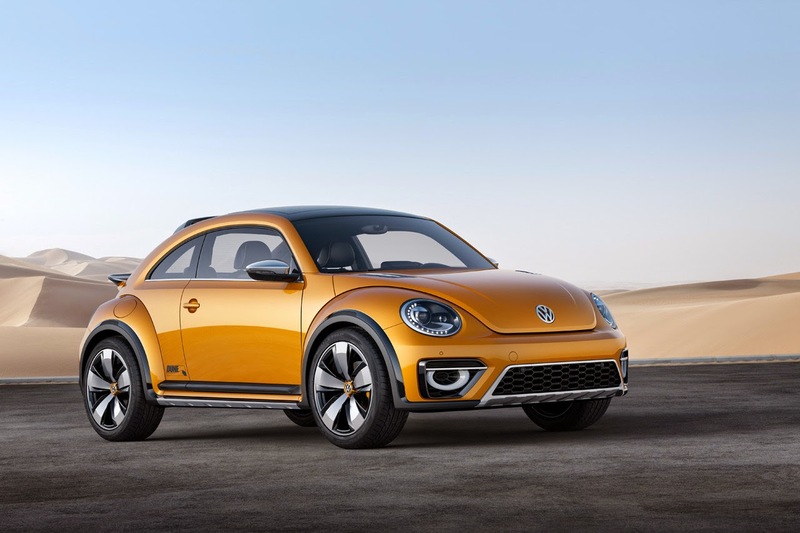 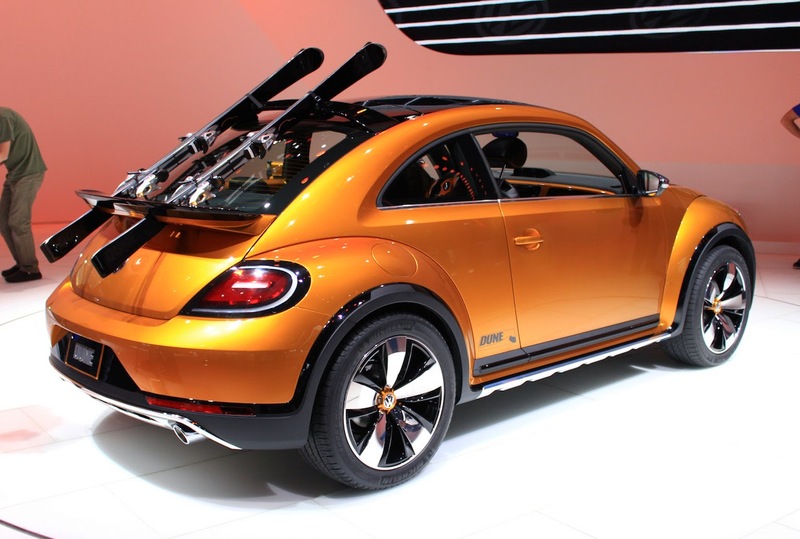 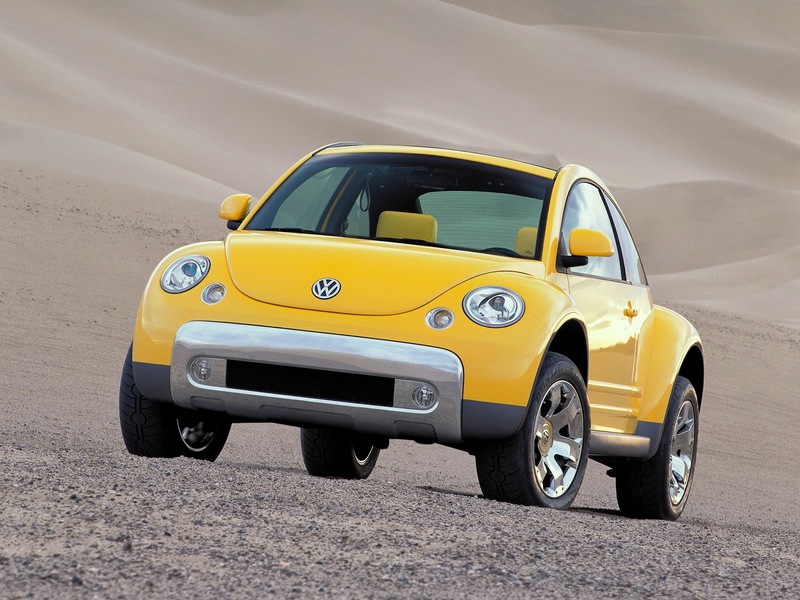 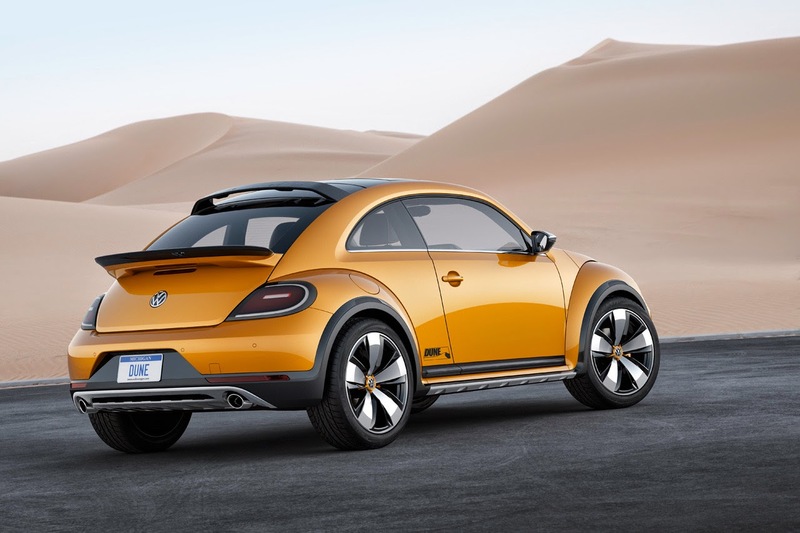 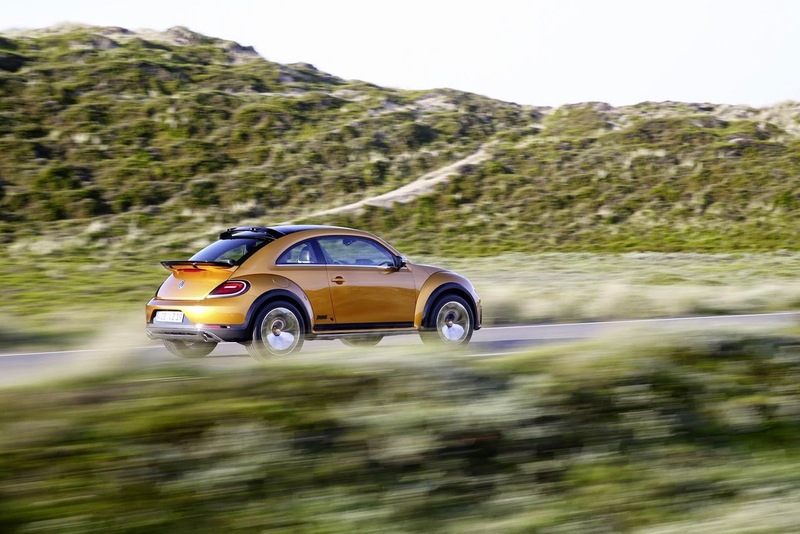 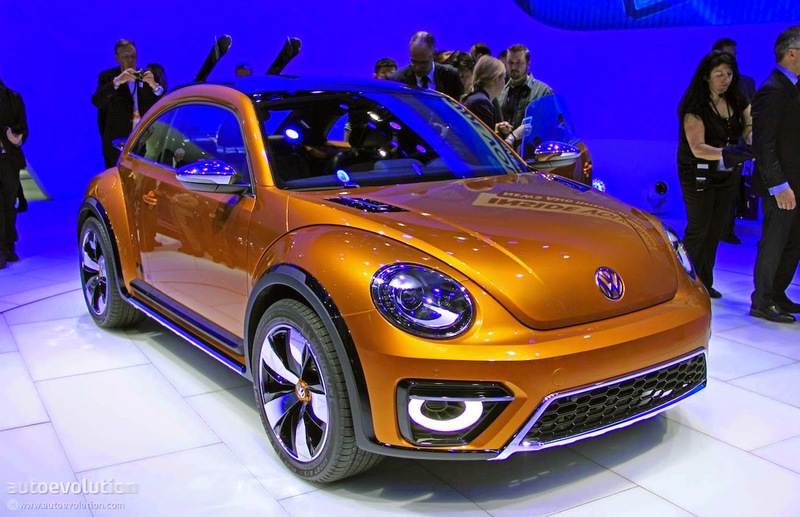 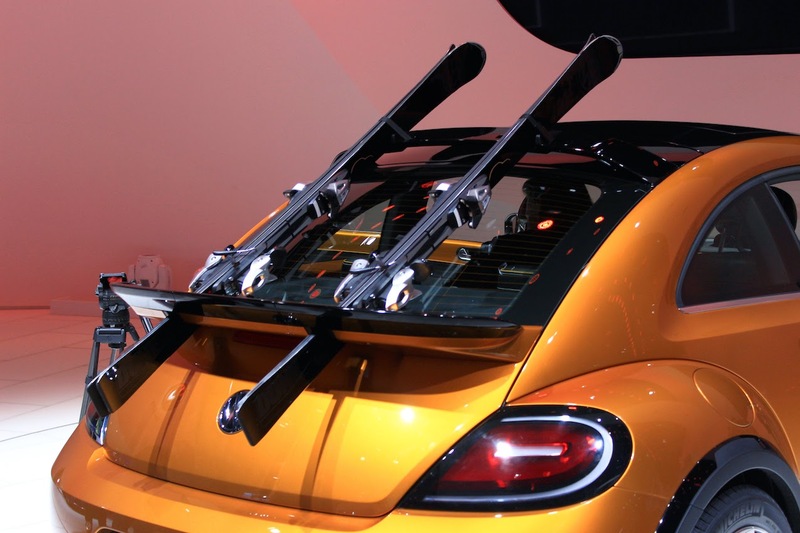 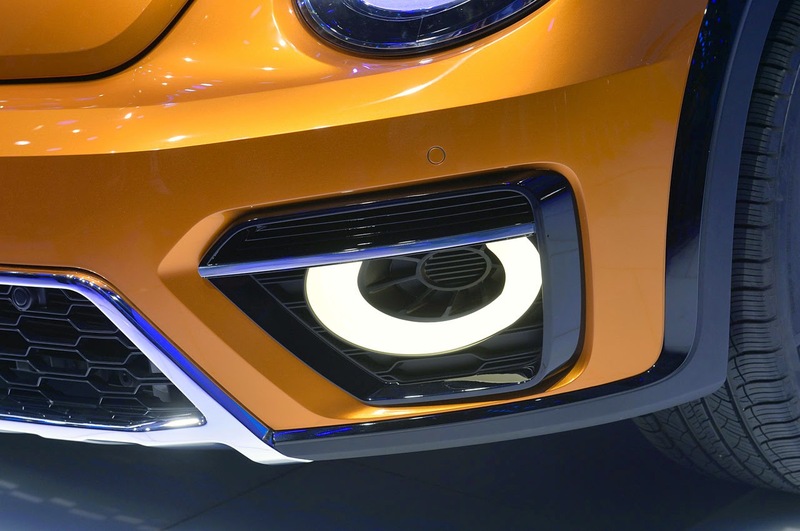 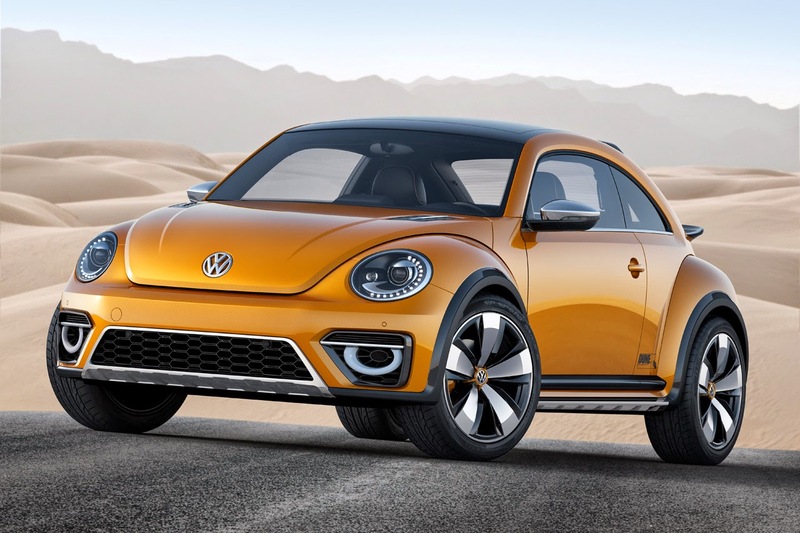 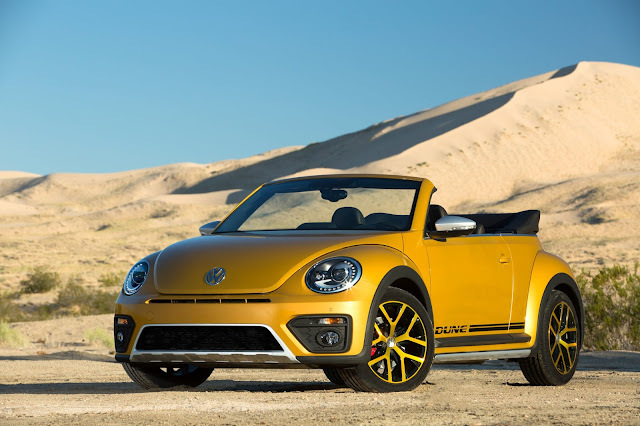 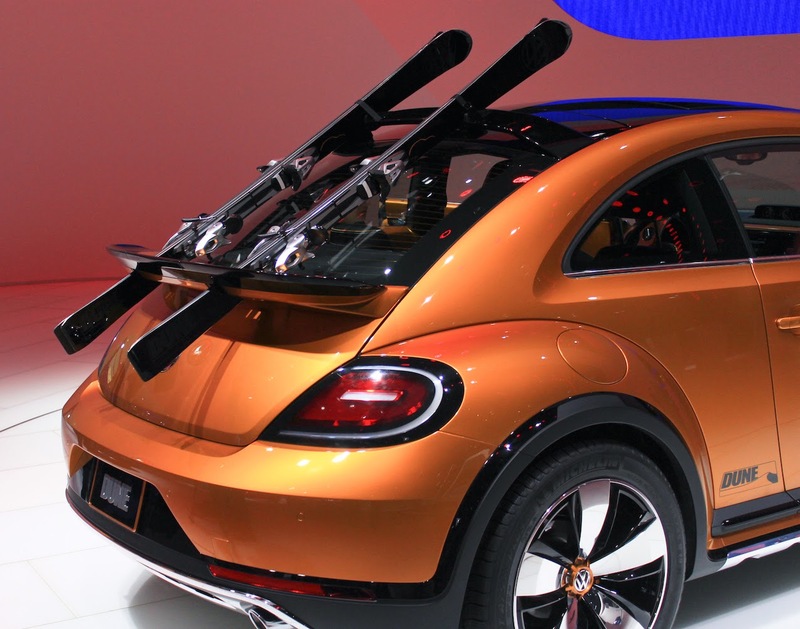 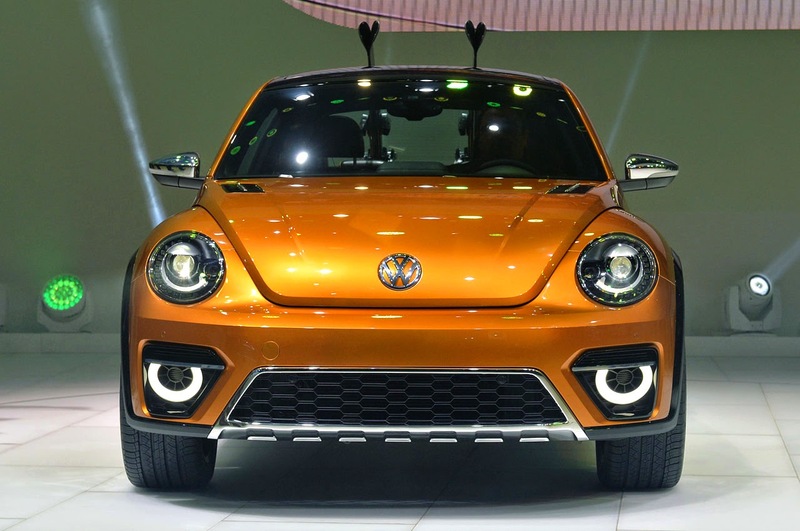 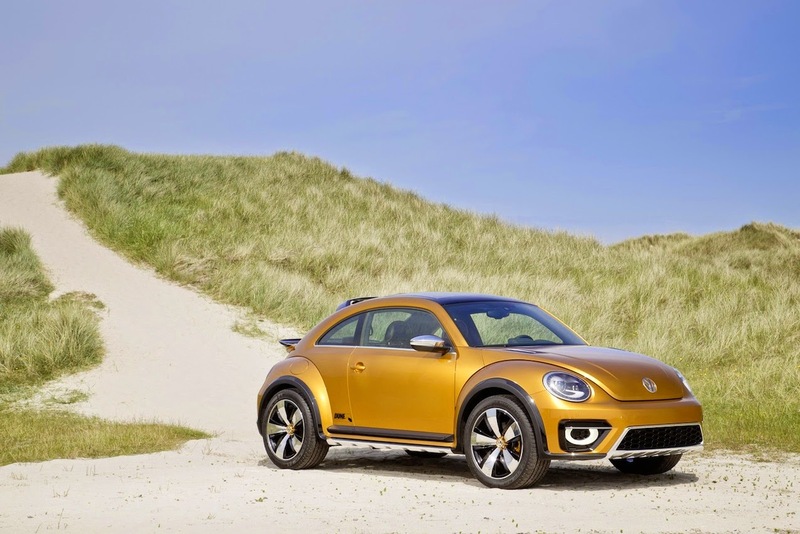 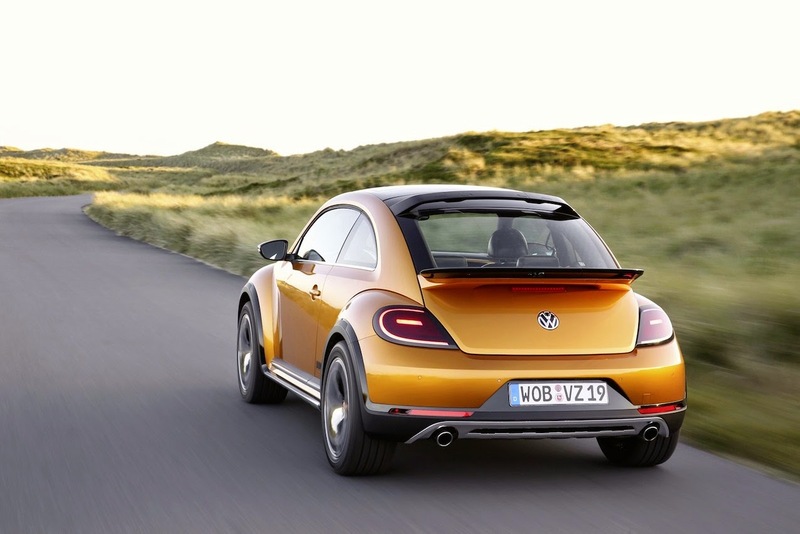 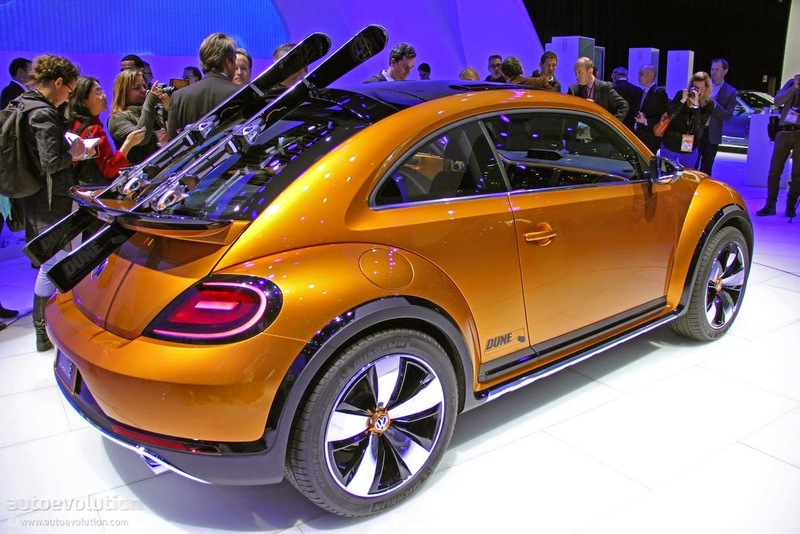 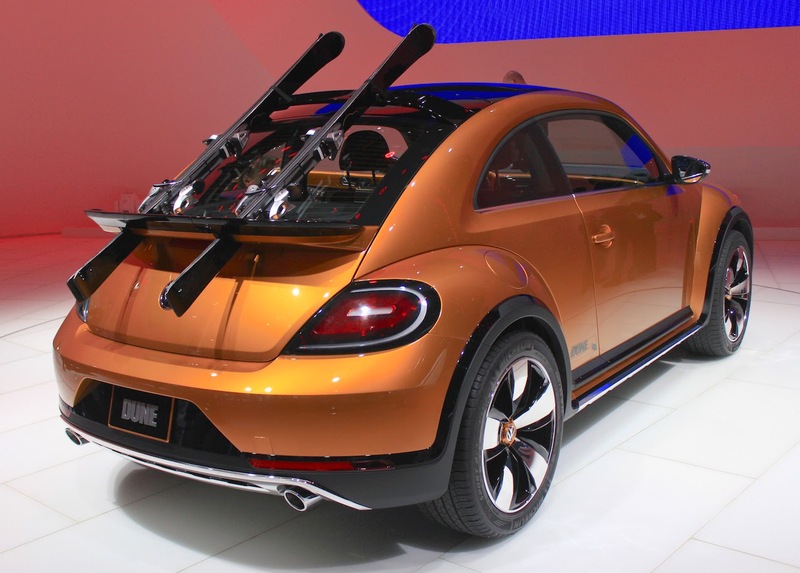 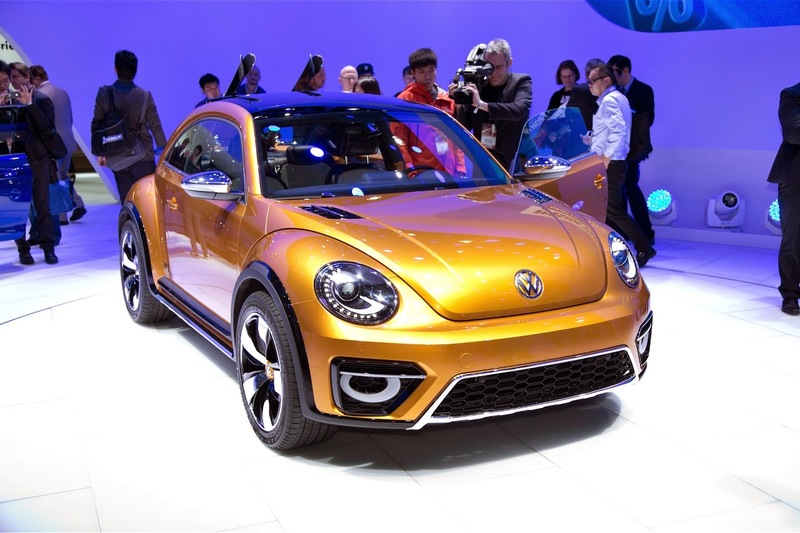 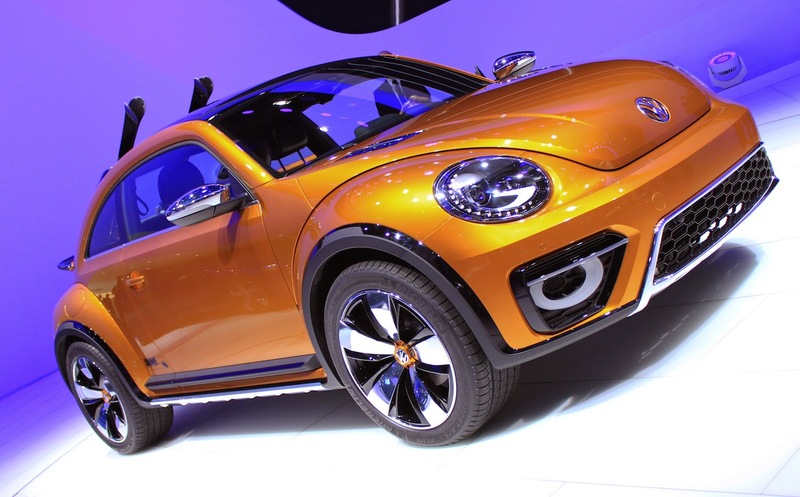 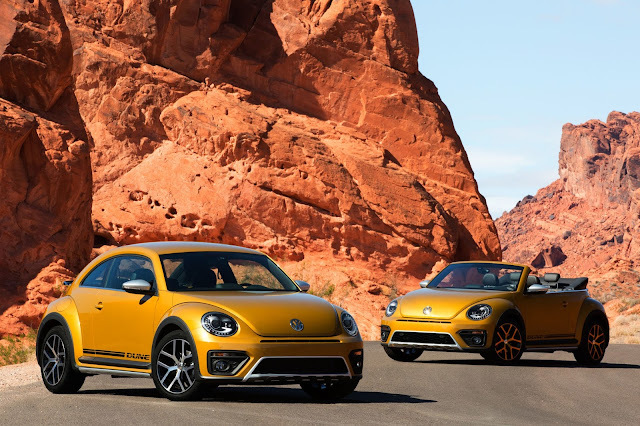 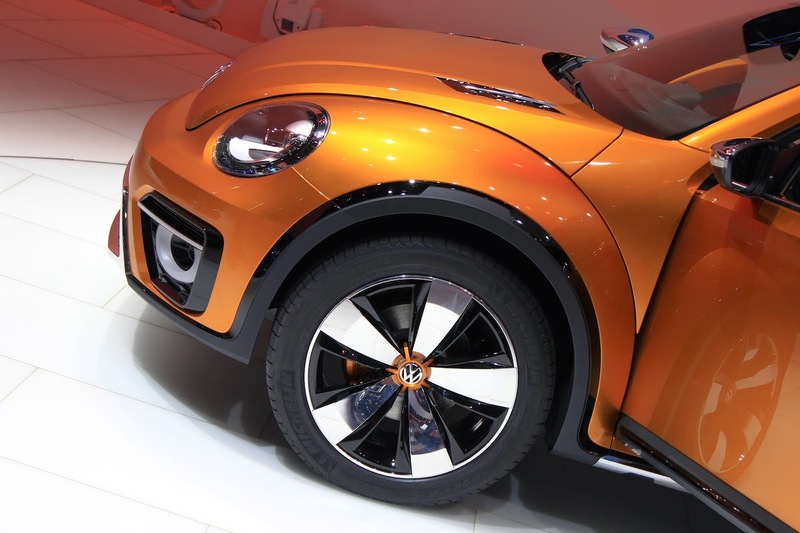 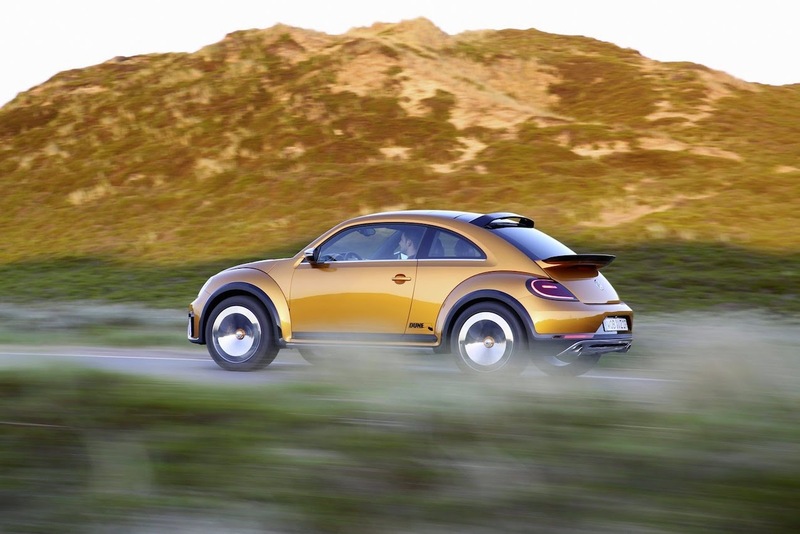 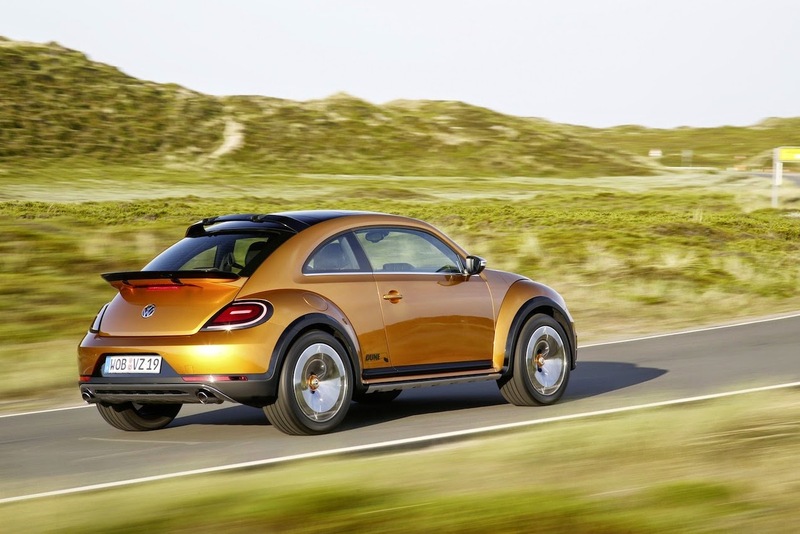 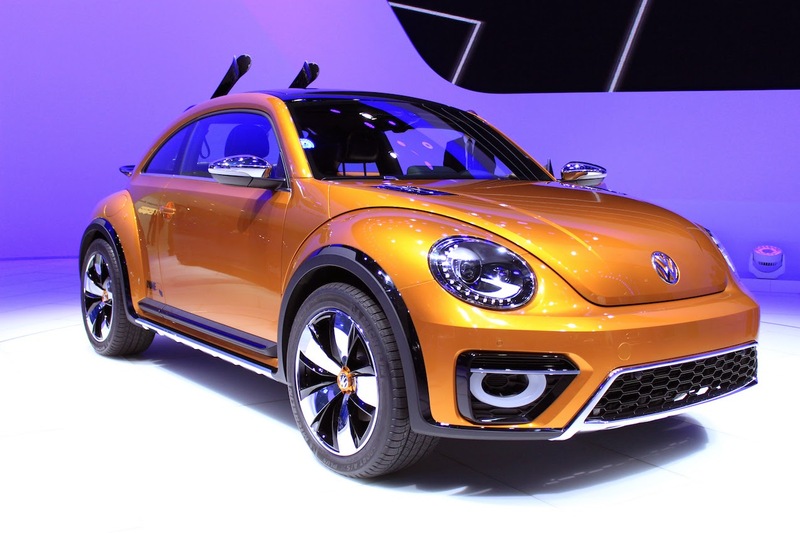 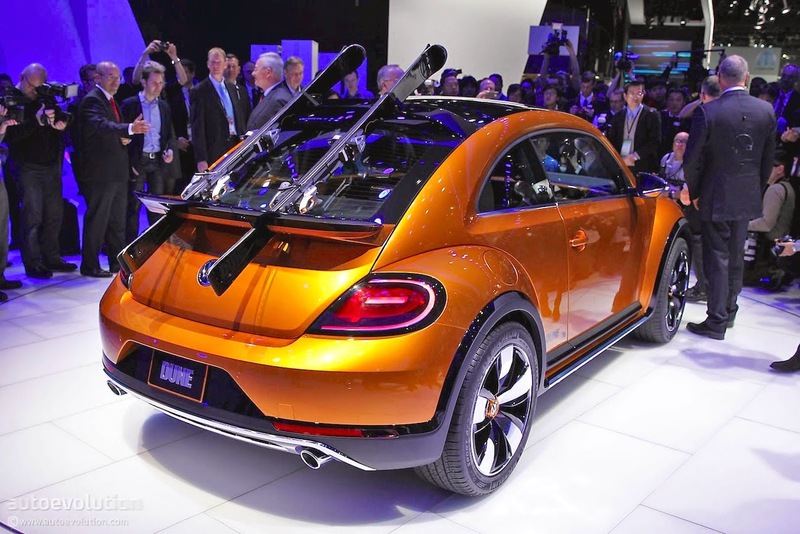 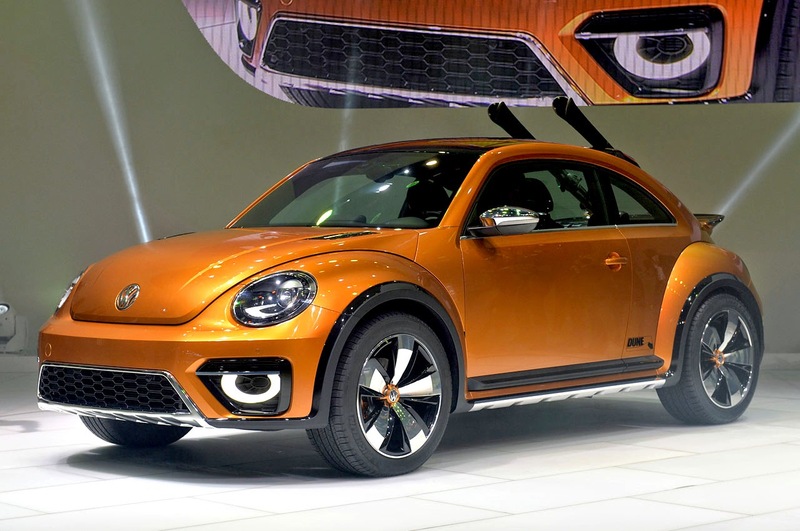 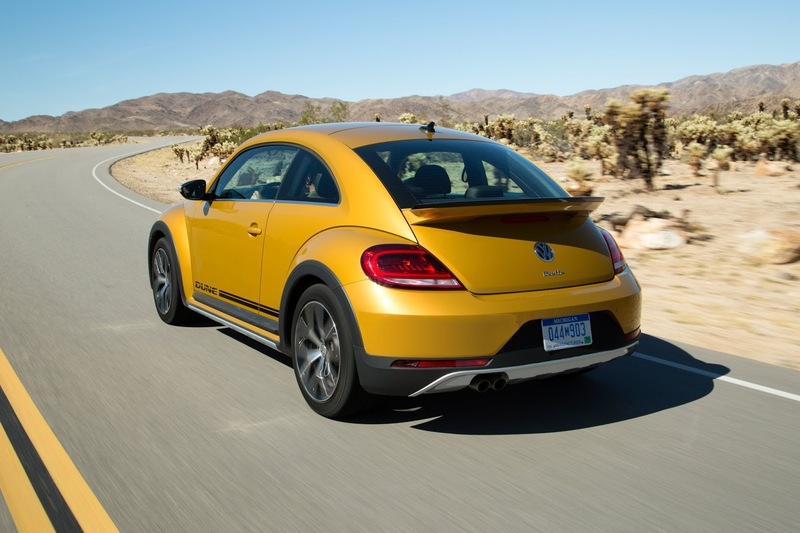 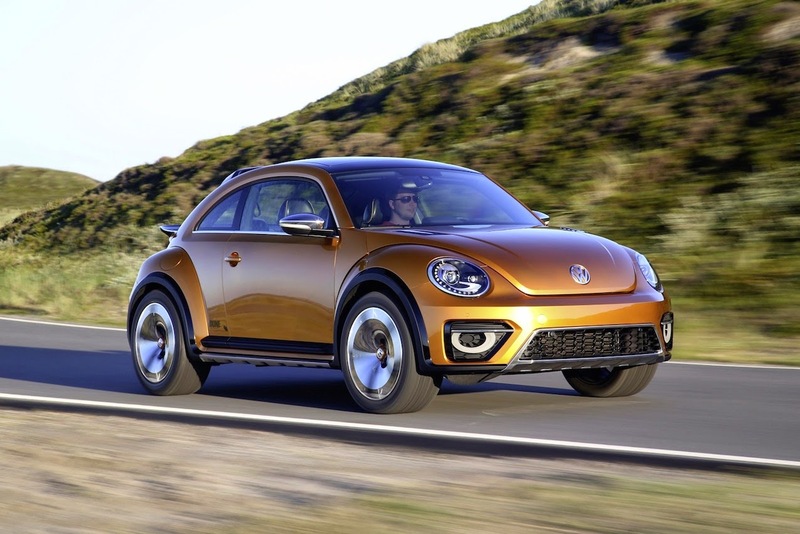 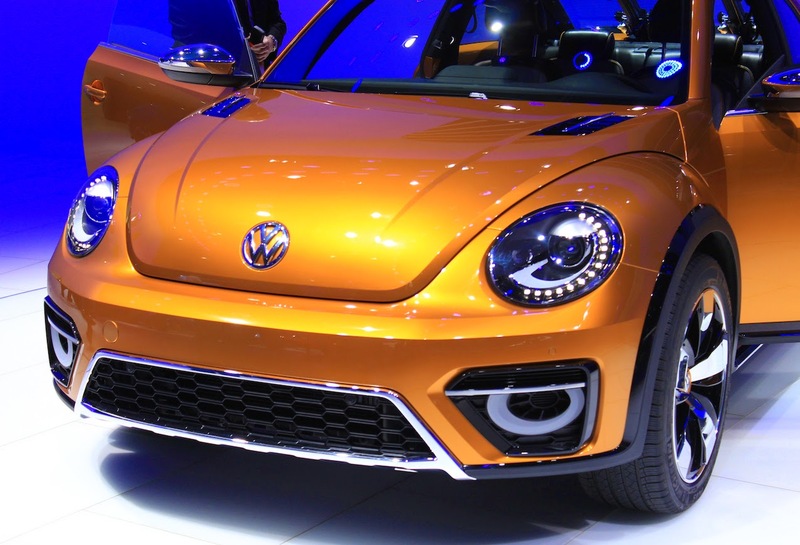 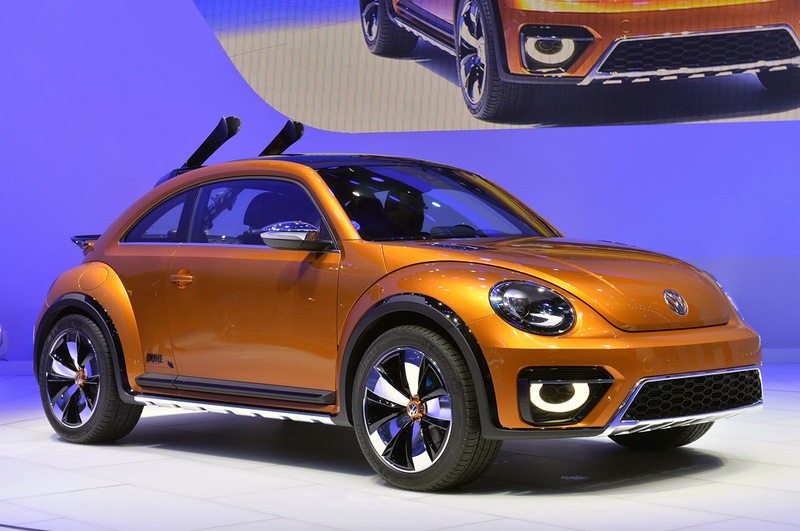 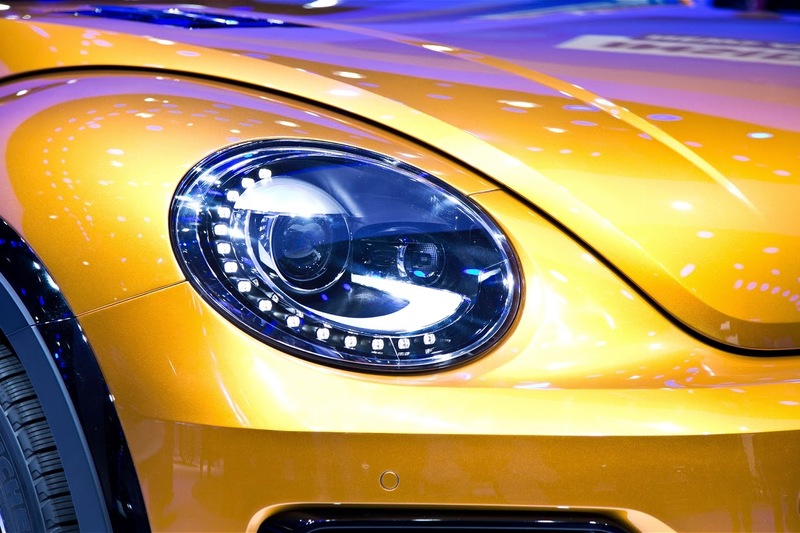 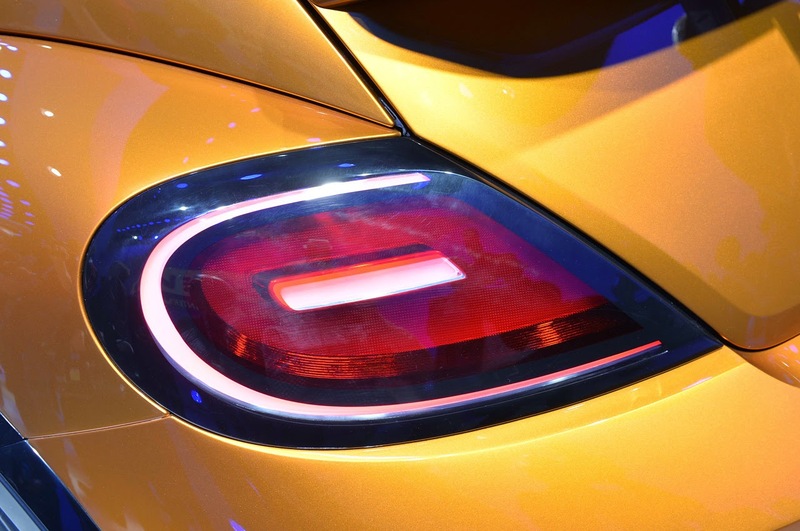 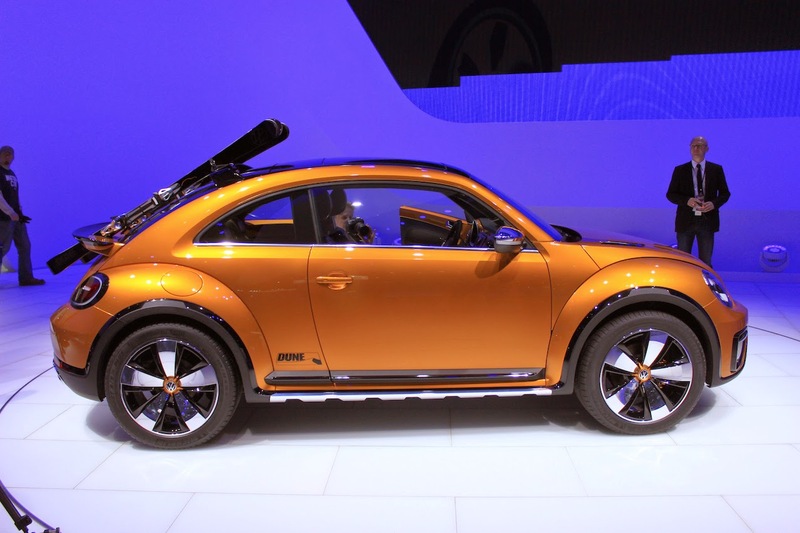 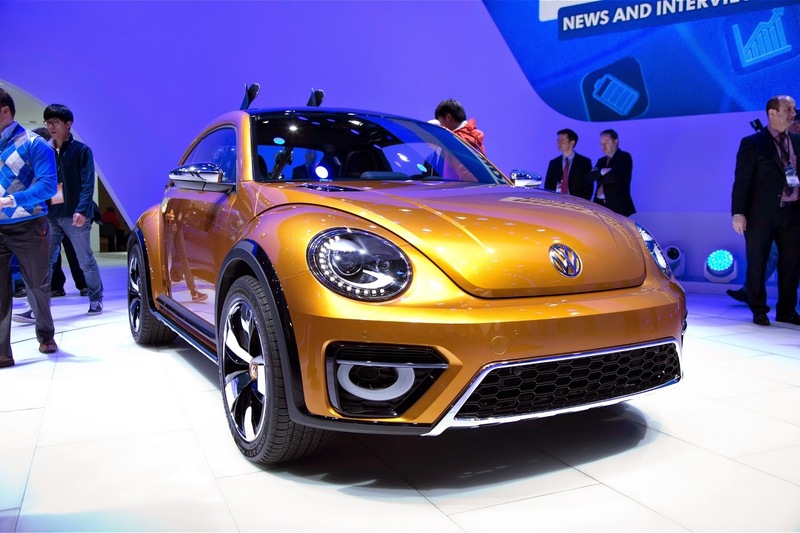 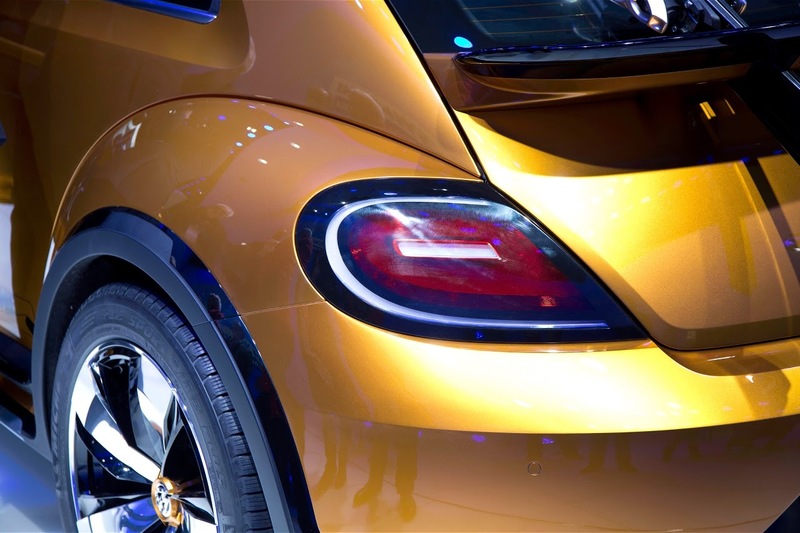 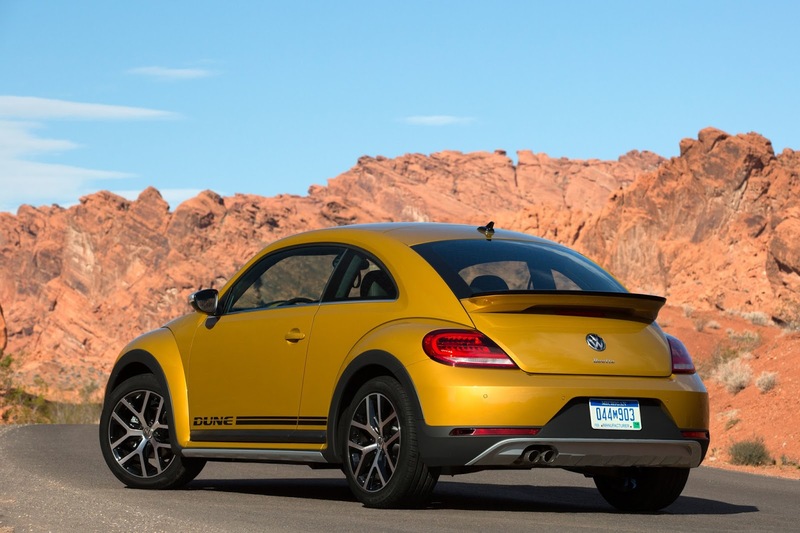 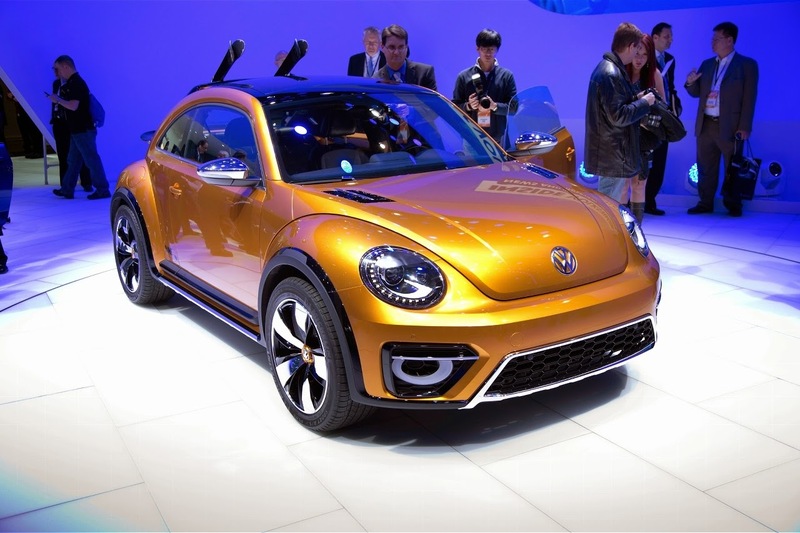 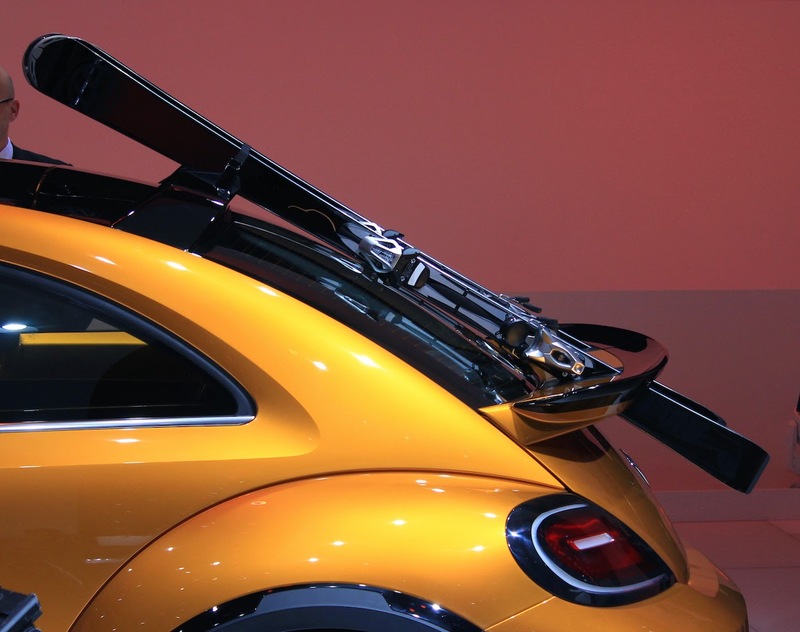 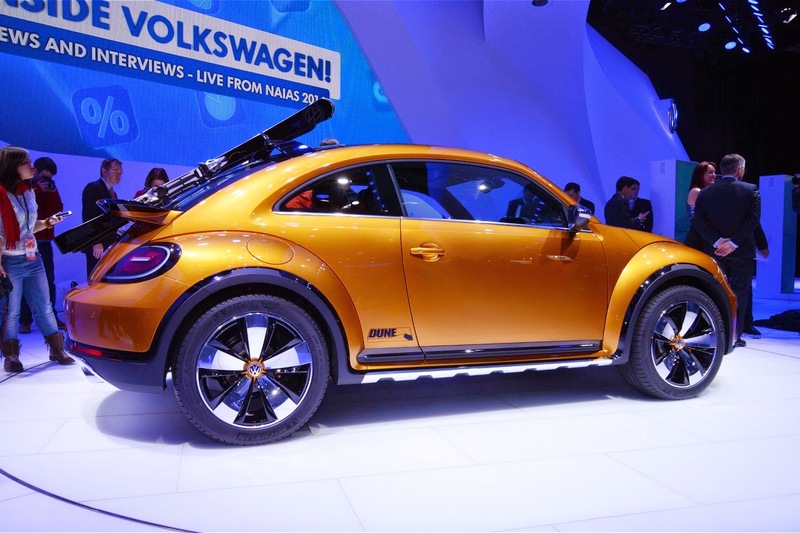 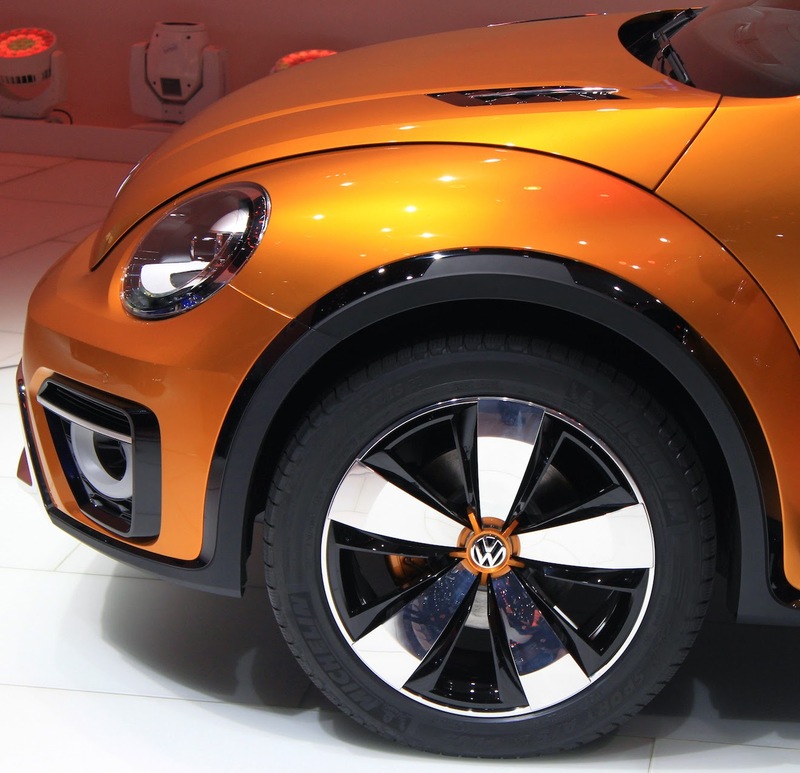 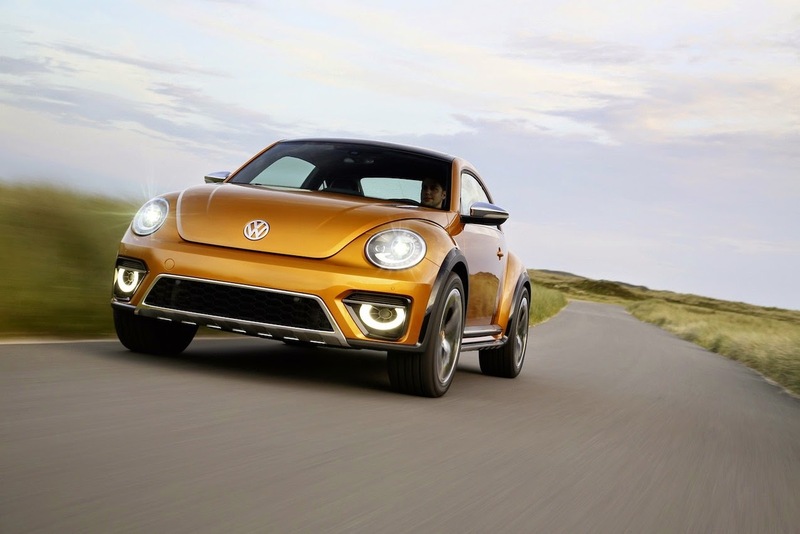 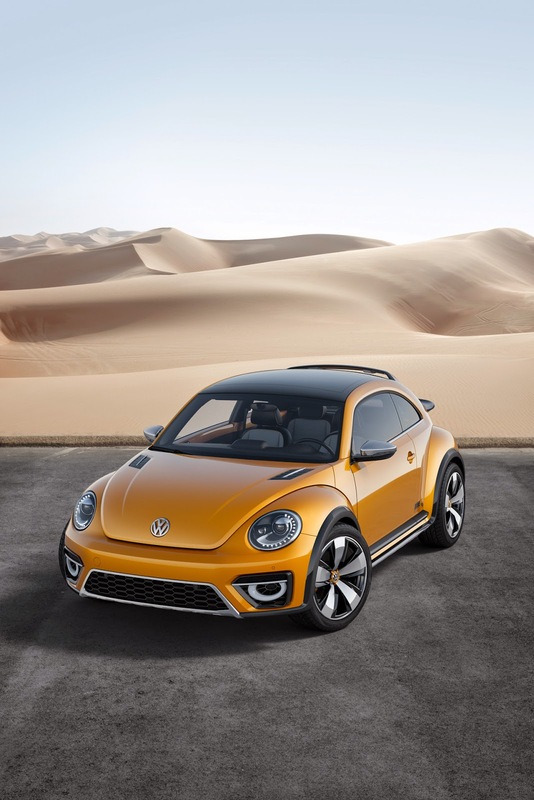 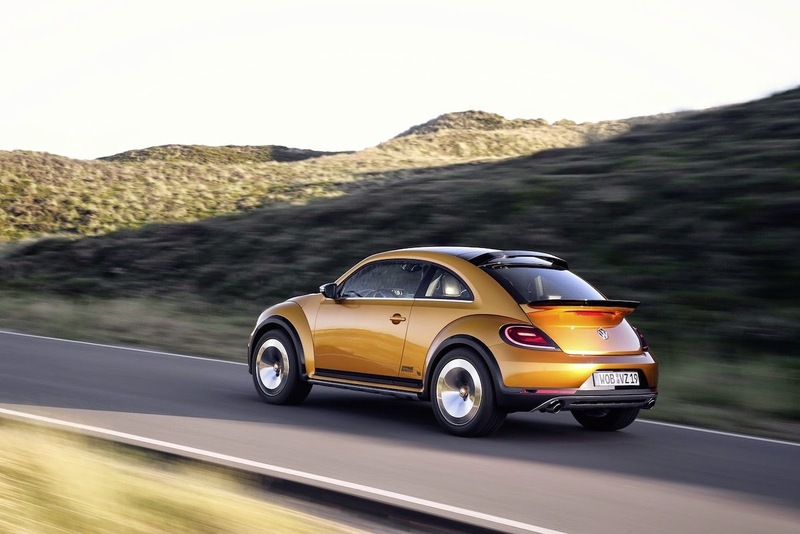 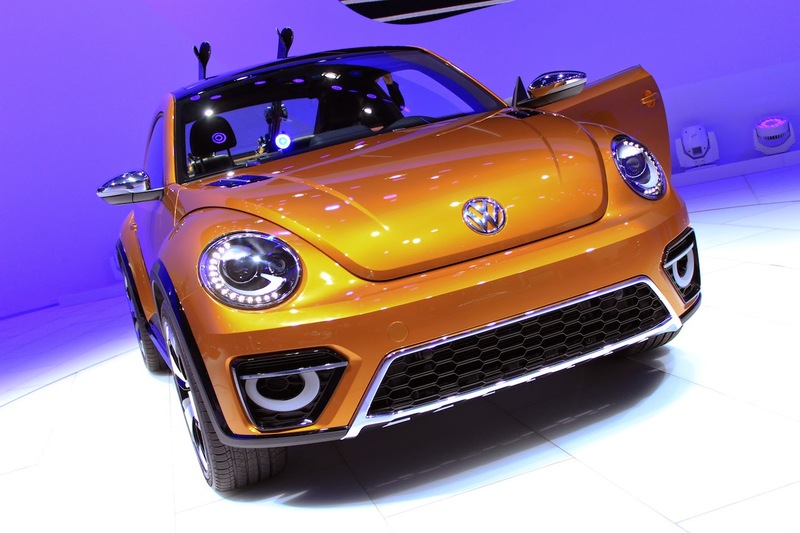 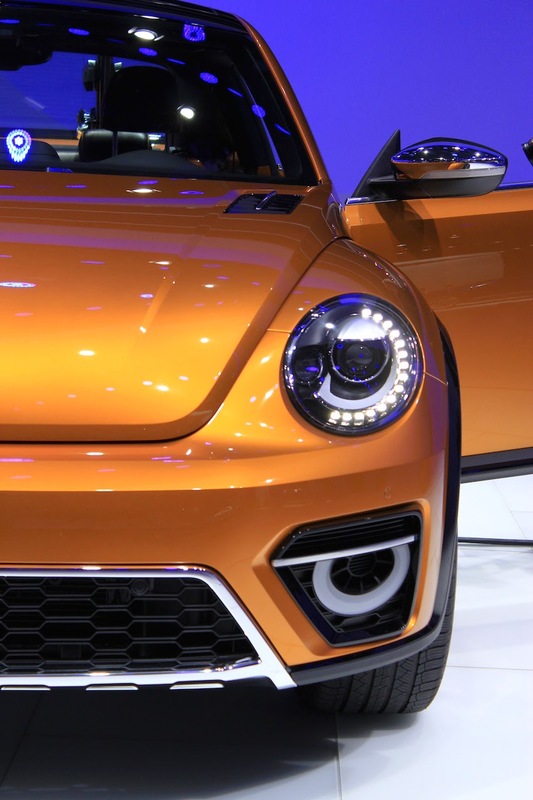 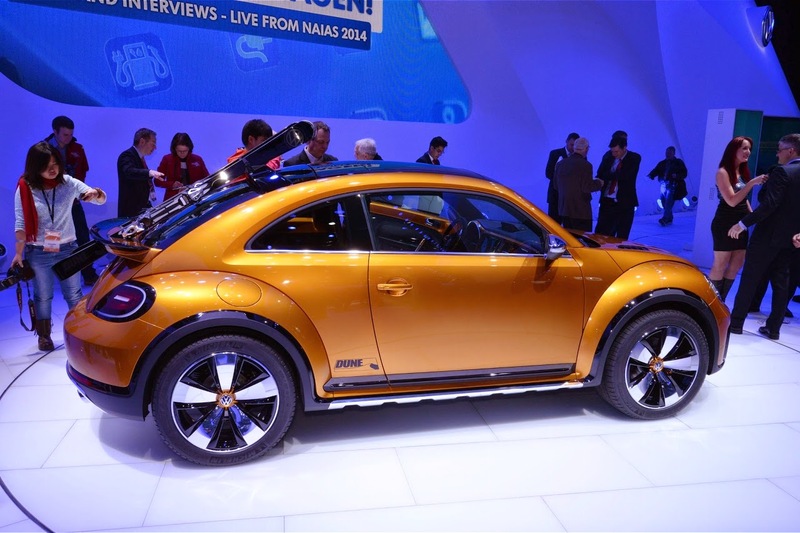 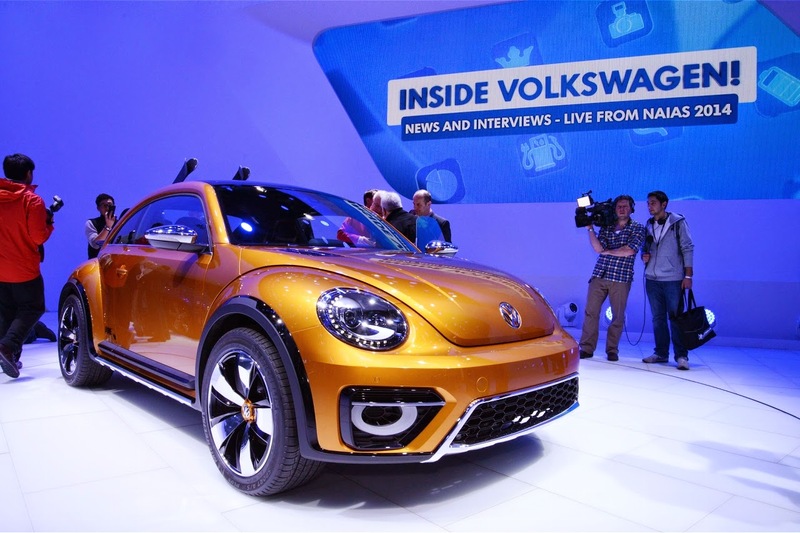 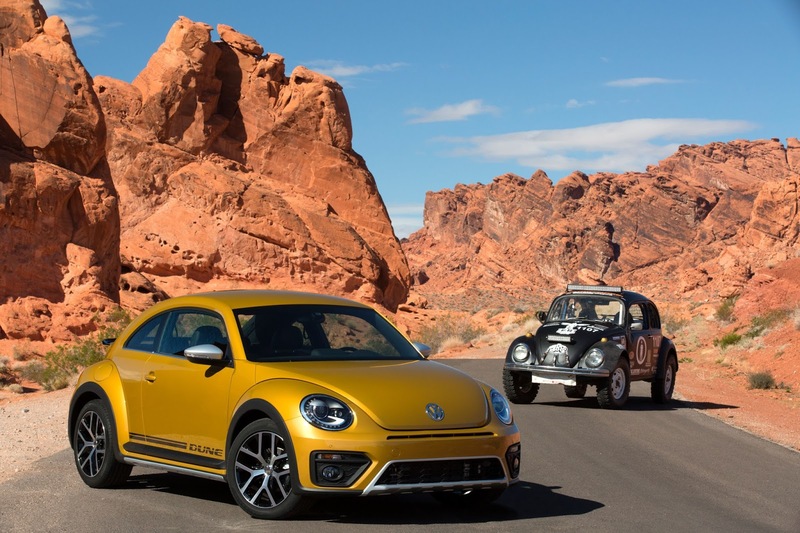 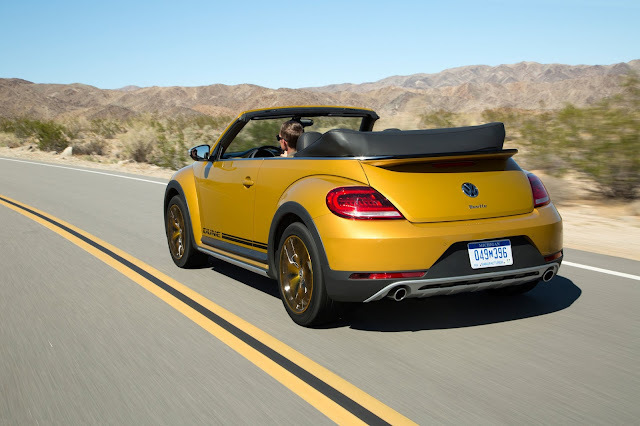 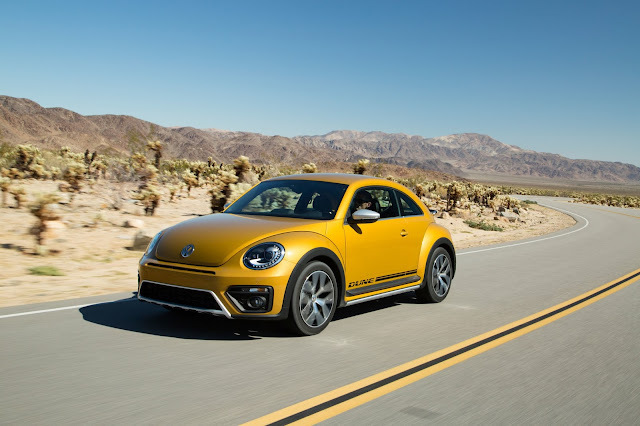 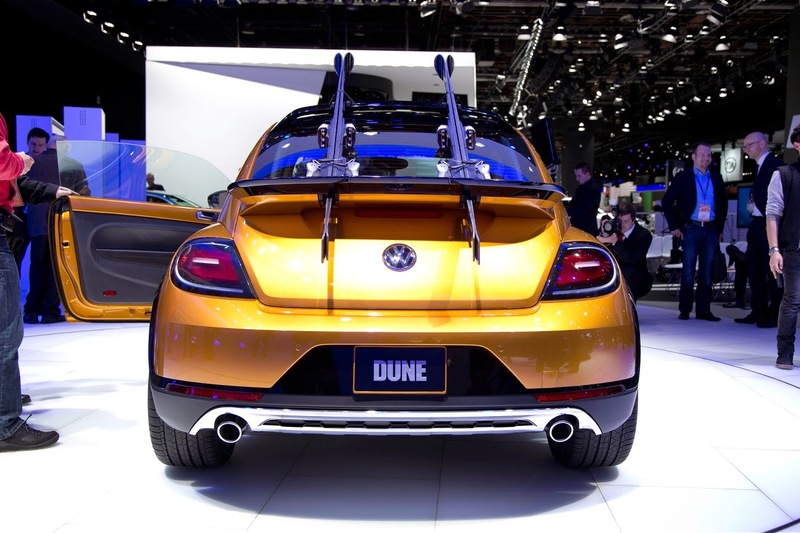 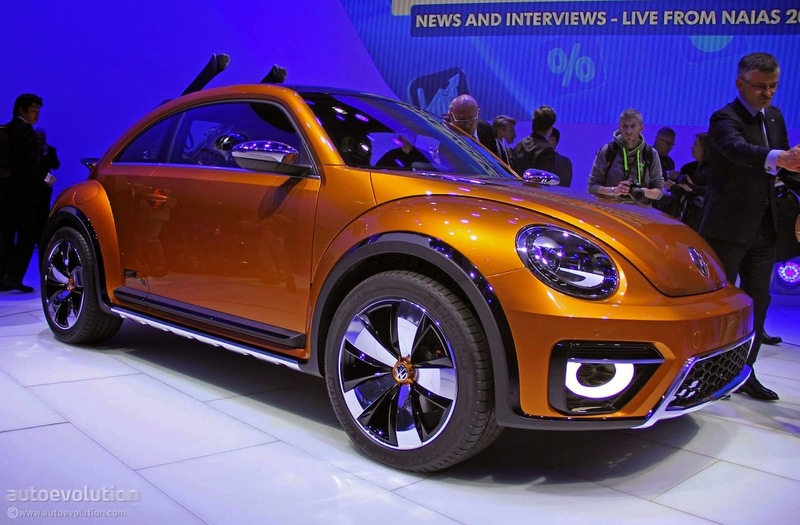 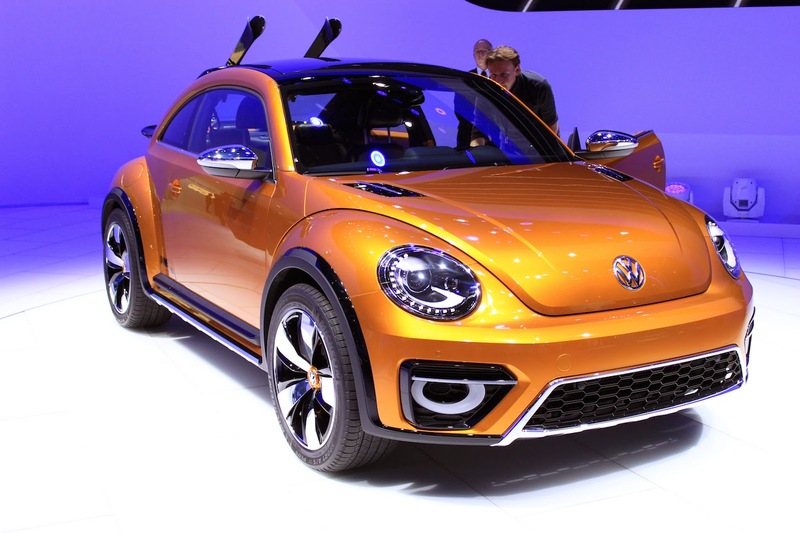 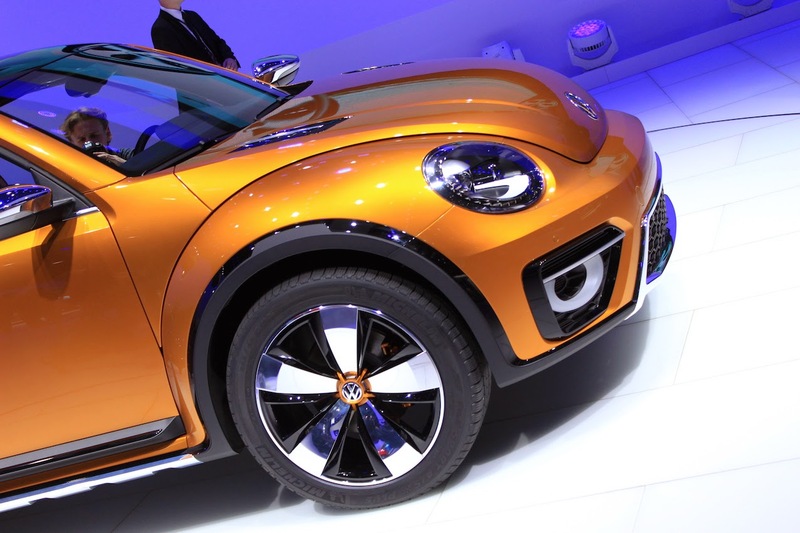 Production version of the 2016 Volkswagen Beetle Dune Coupe certainly looks tougher than the rest of the Beetle lineup. 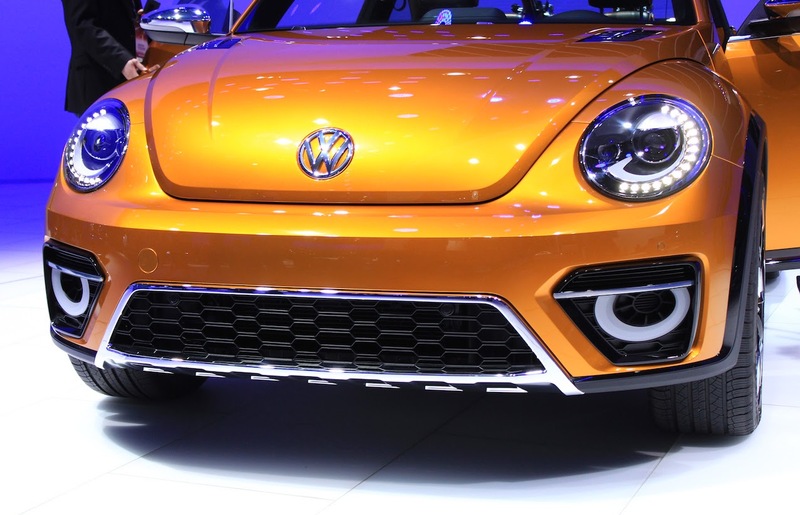 The model wears a new front bumper with a lower intake that's outlined in bright trim, and niches in each corner house the foglights. 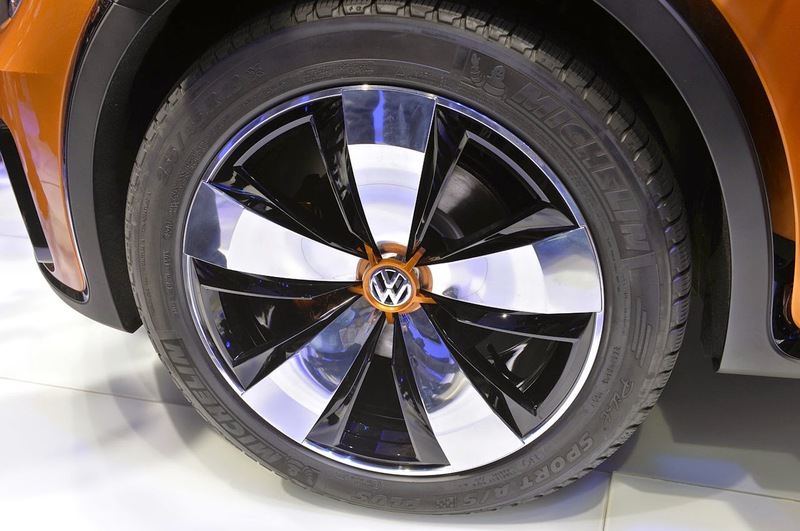 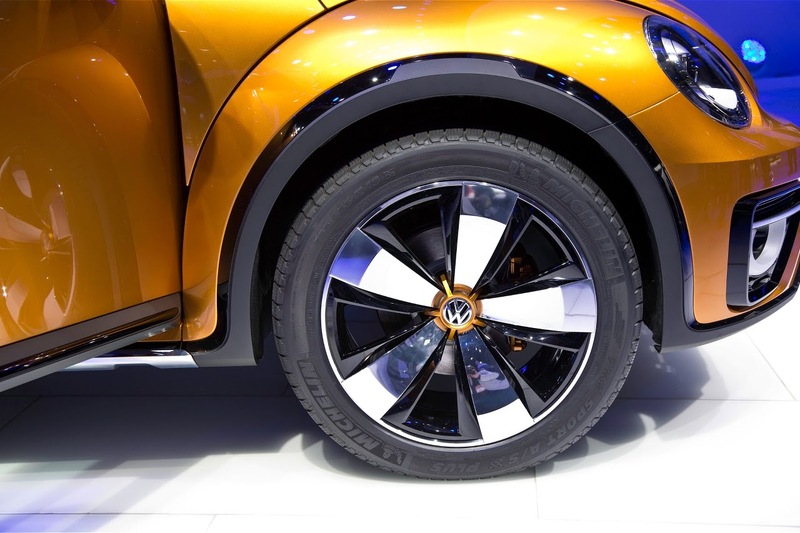 The profile continues the brawny styling with black arch extensions around 18-inch wheels and polished sills. 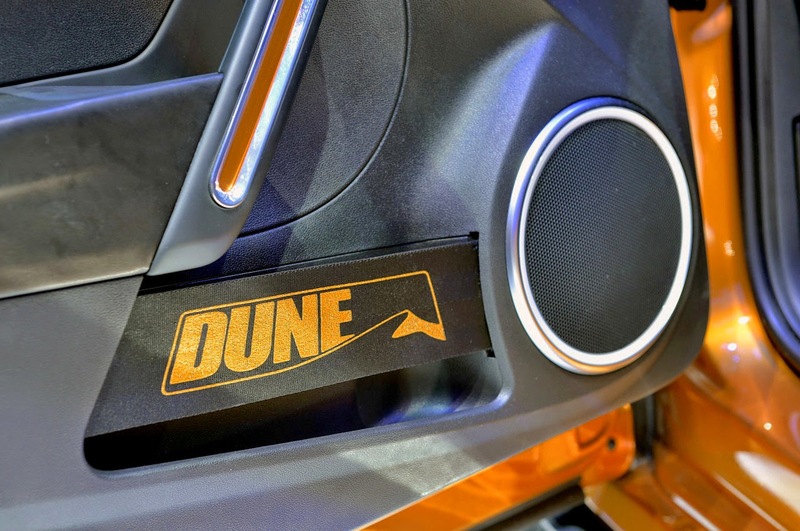 Dune graphics along the side add a somewhat vintage flair. 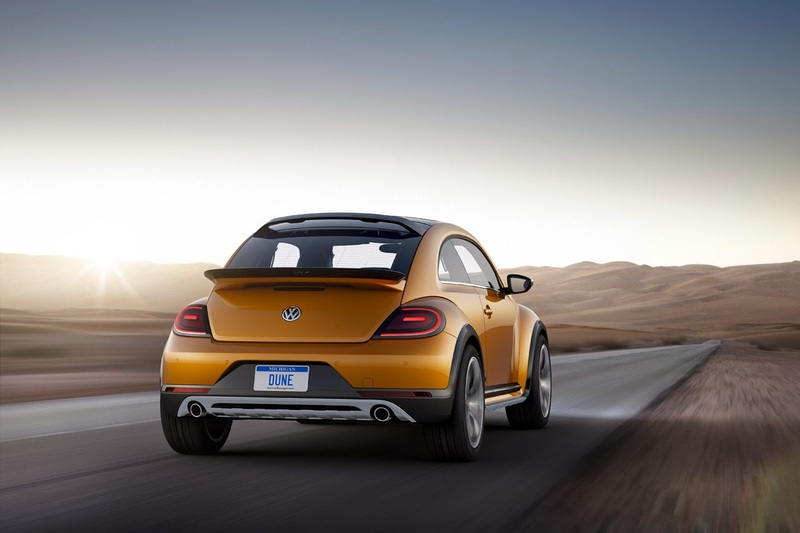 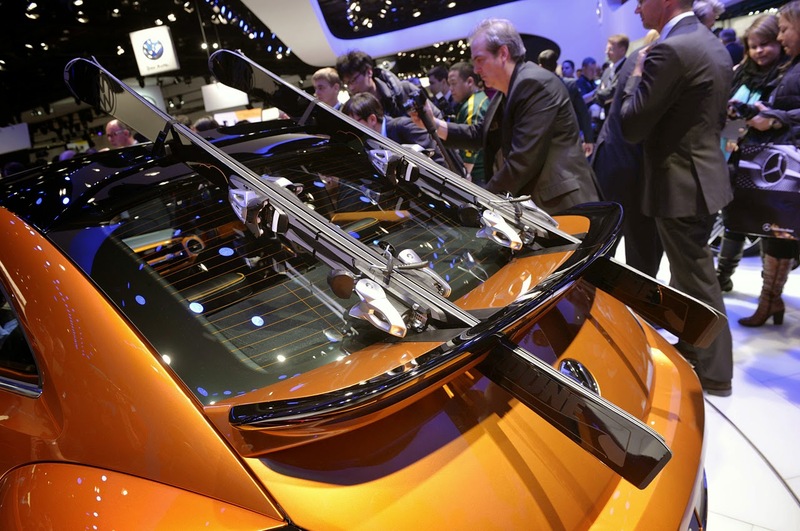 The redesigned rear features a spoiler and fascia with exhausts at each corner. 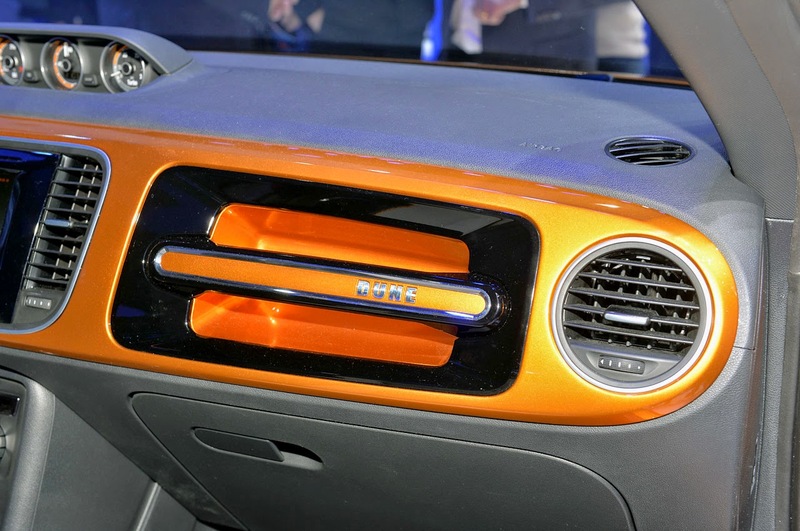 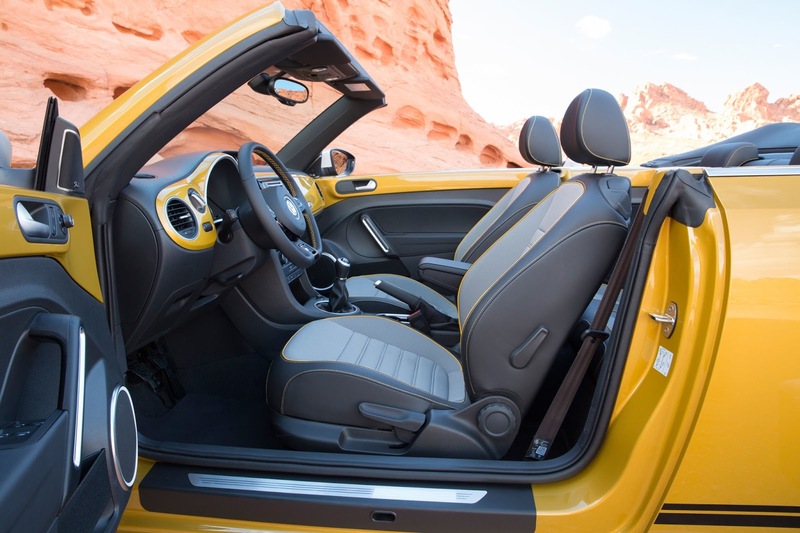 The interior remains mostly unchanged except for some orange stitching, but a leather-wrapped multifunction steering wheel and MIB II infotainment are standard. 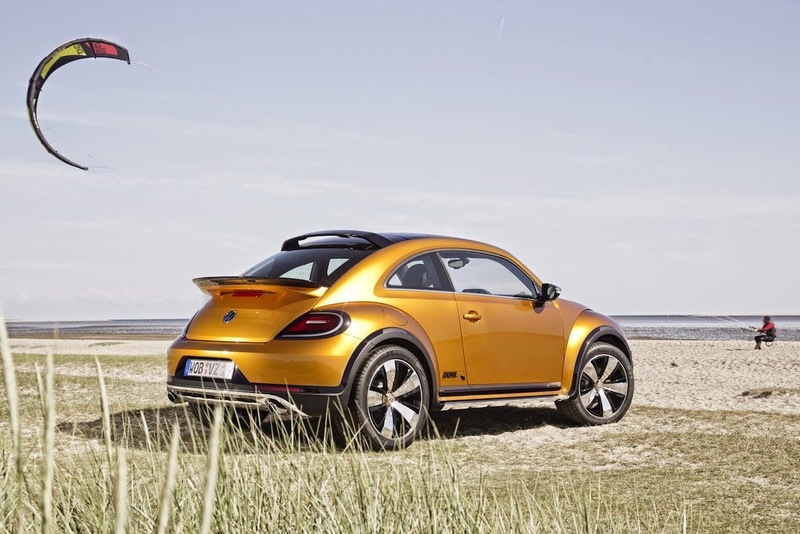 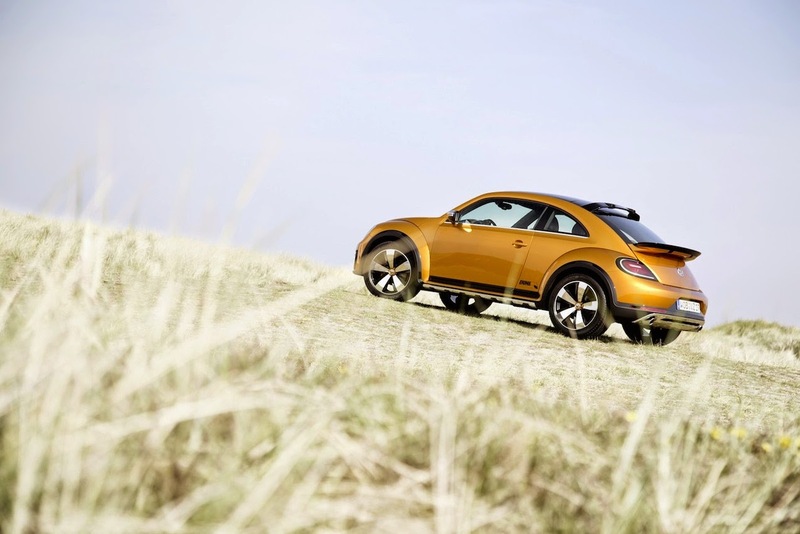 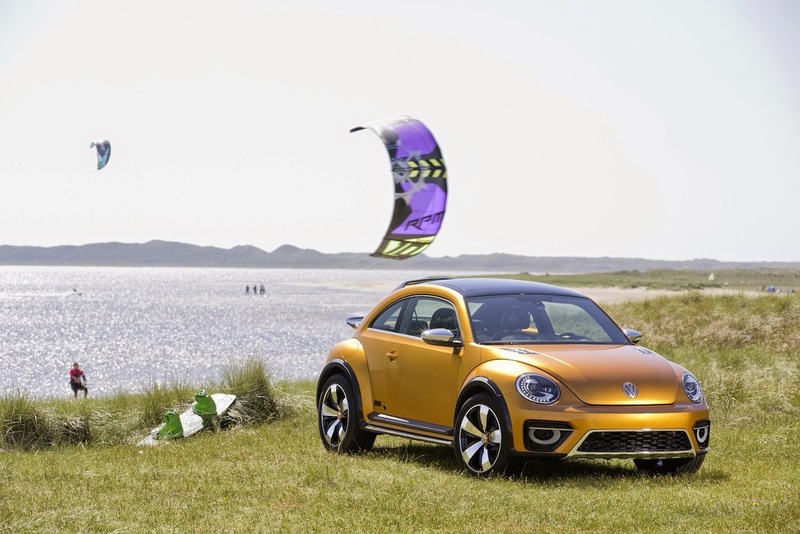 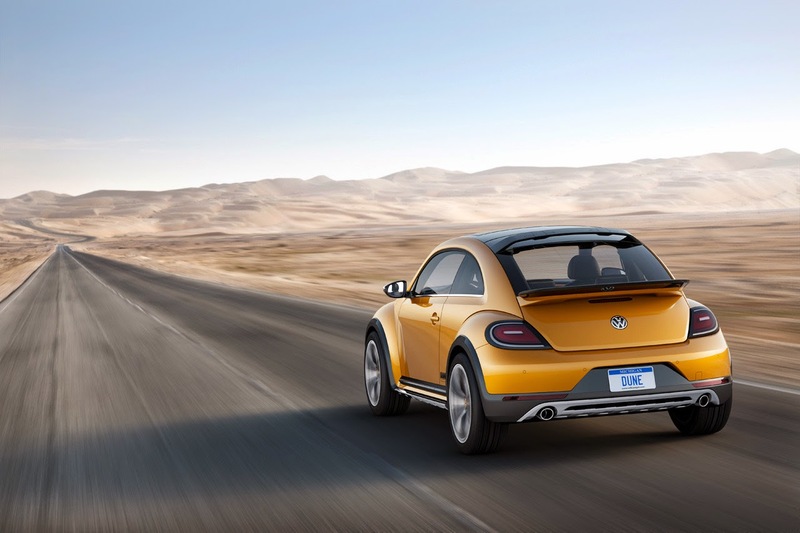 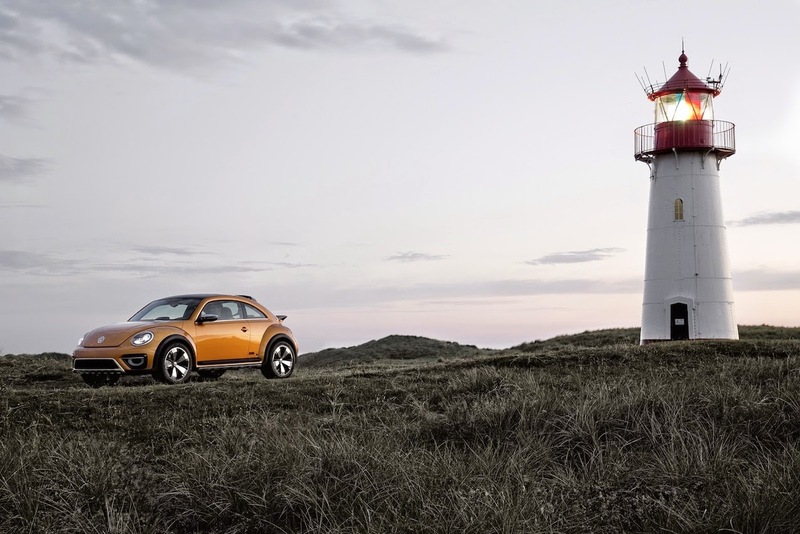 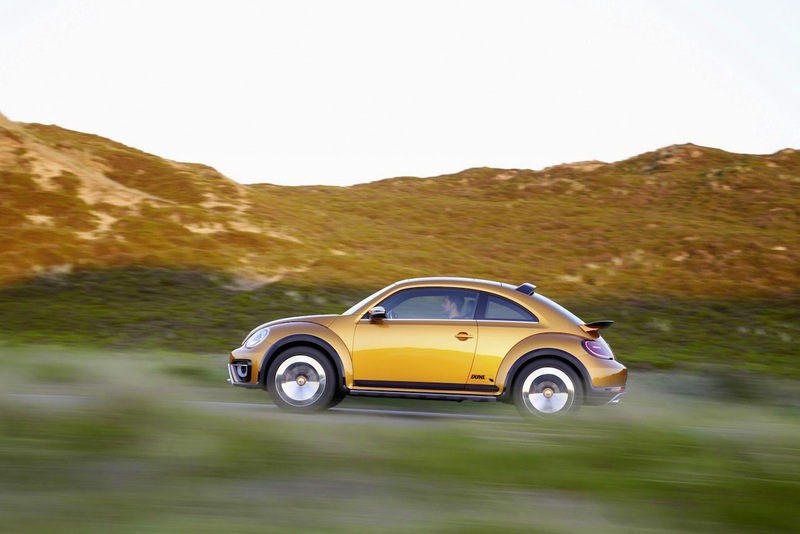 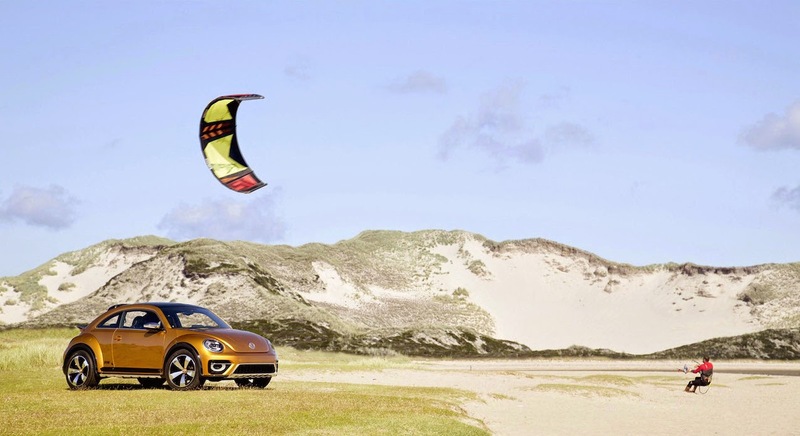 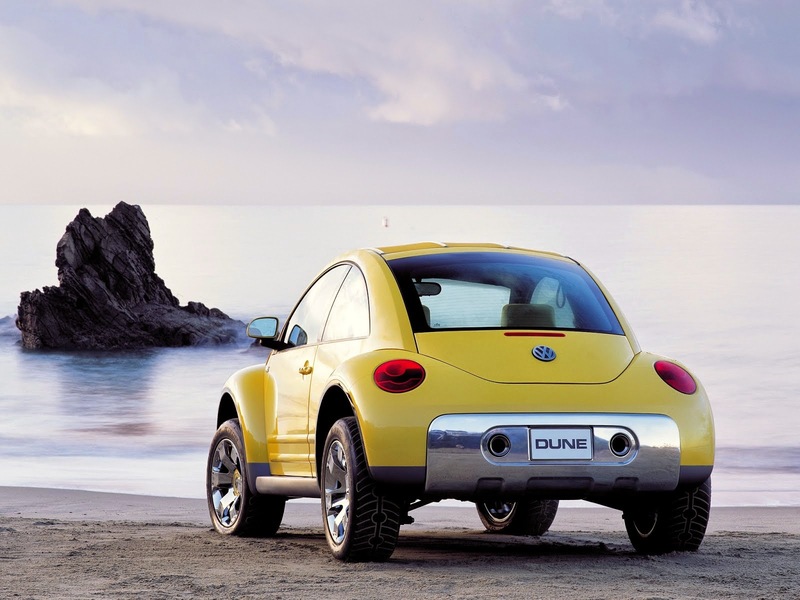 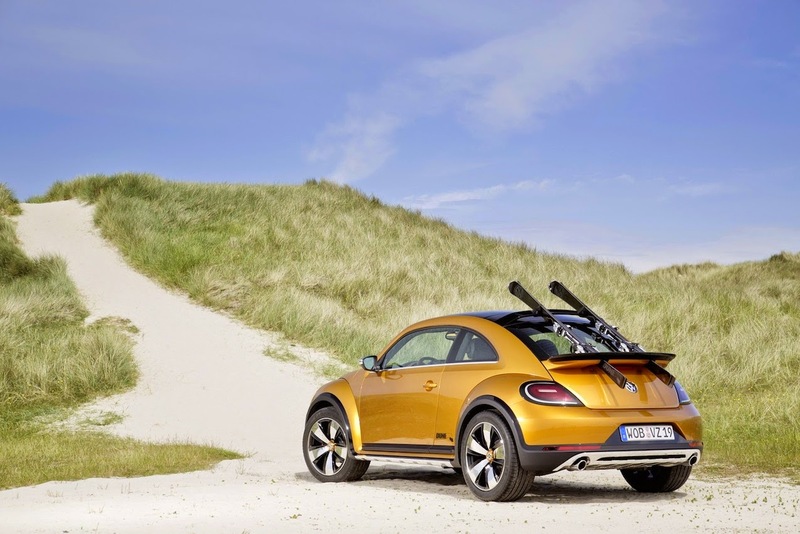 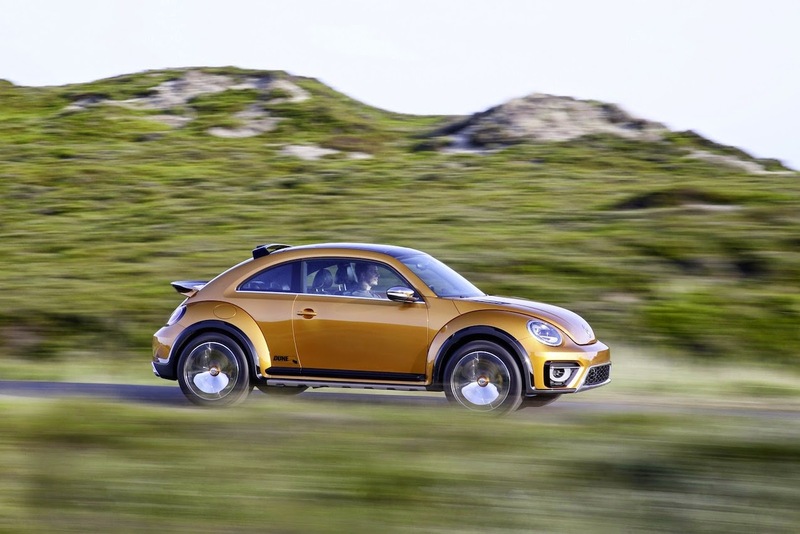 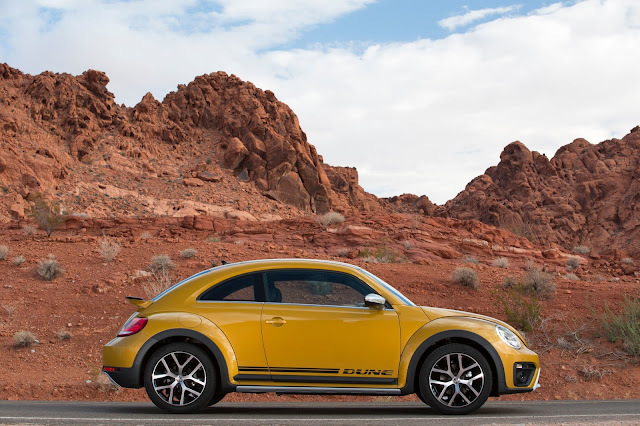 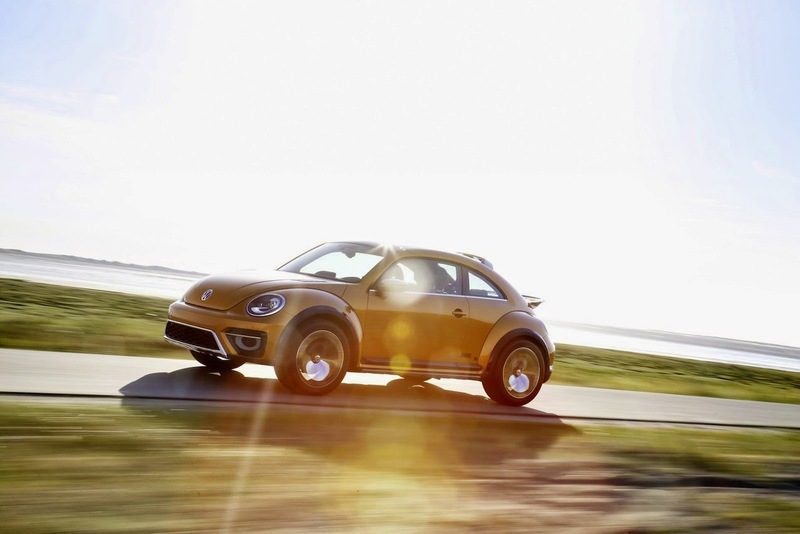 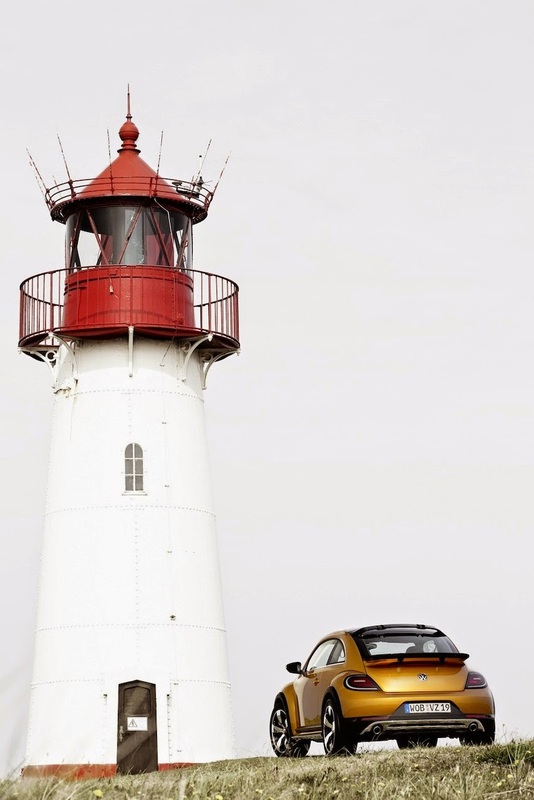 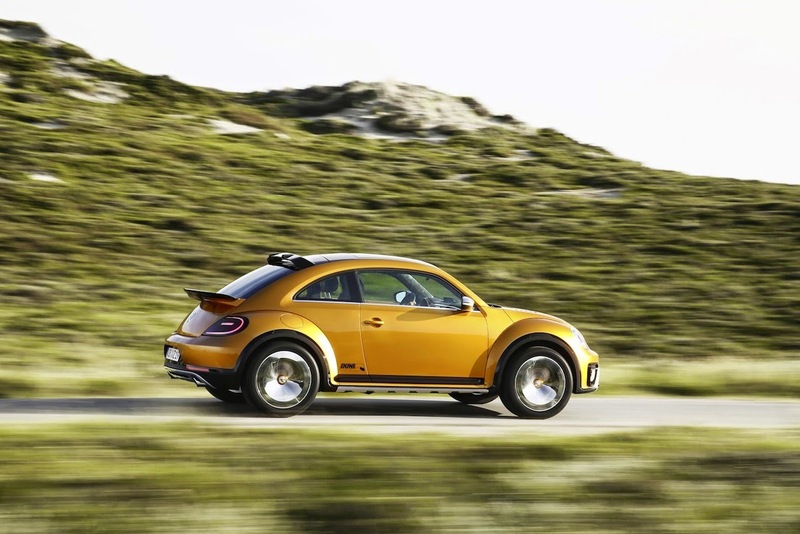 Despite the tough styling, the Beetle Dune is probably more comfortable on the road than off the beaten path. 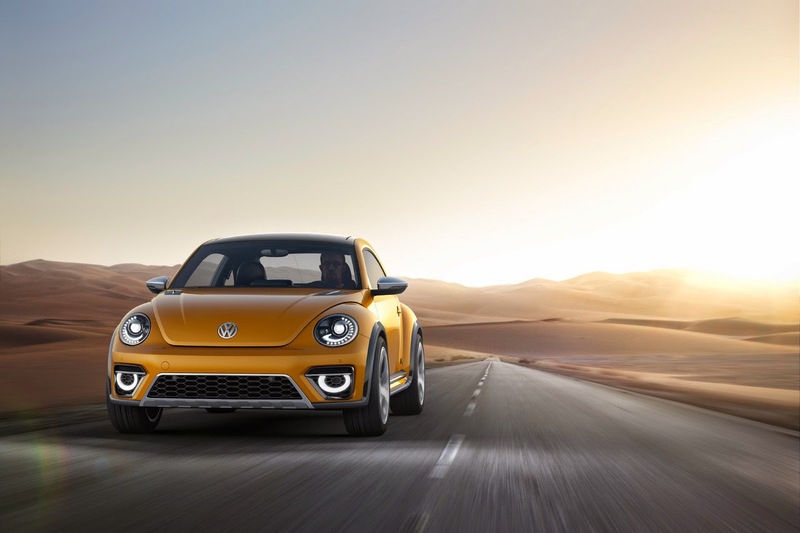 The sole powertrain consists of a 1.8 TSI four-cylinder with 170 horsepower and 184 pound-feet of torque and a six-speed automatic that spins the front wheels. 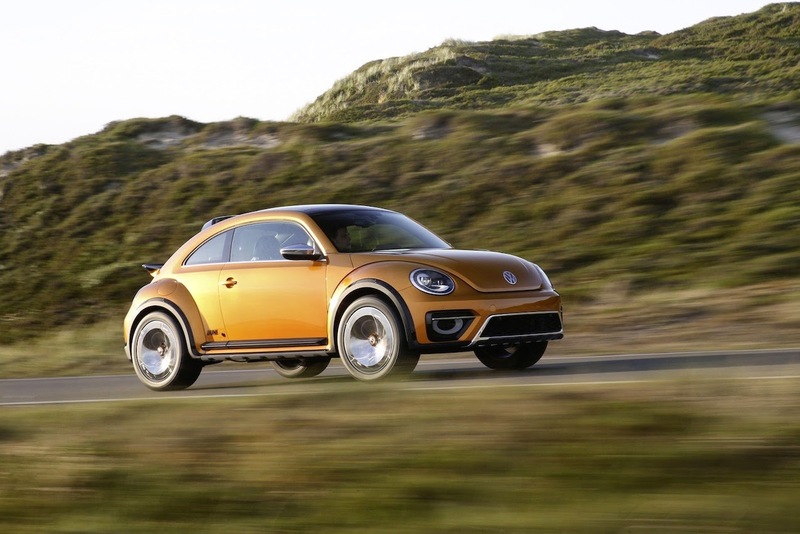 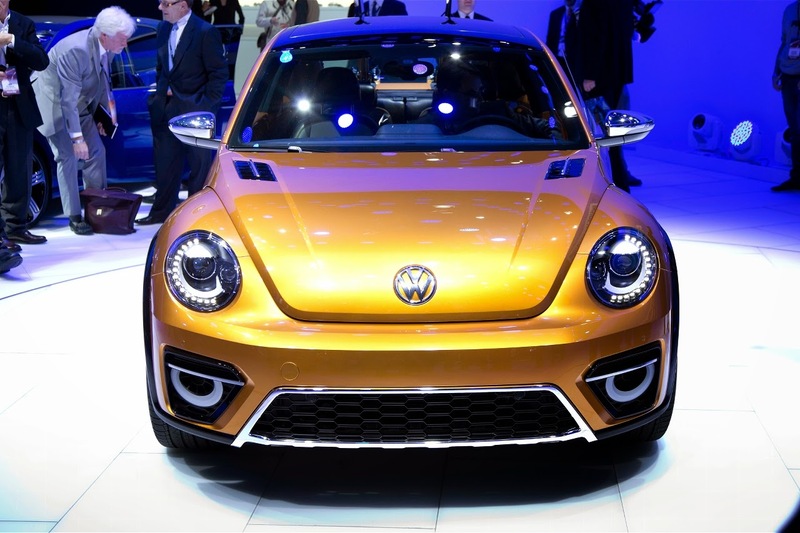 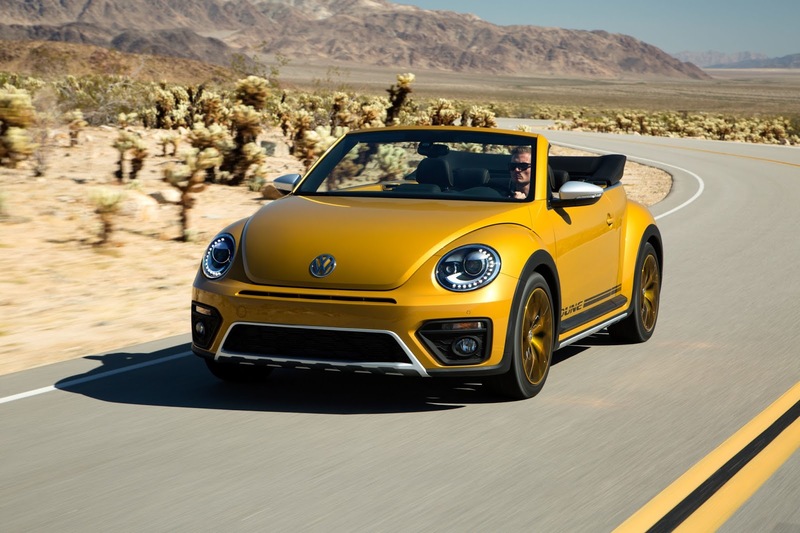 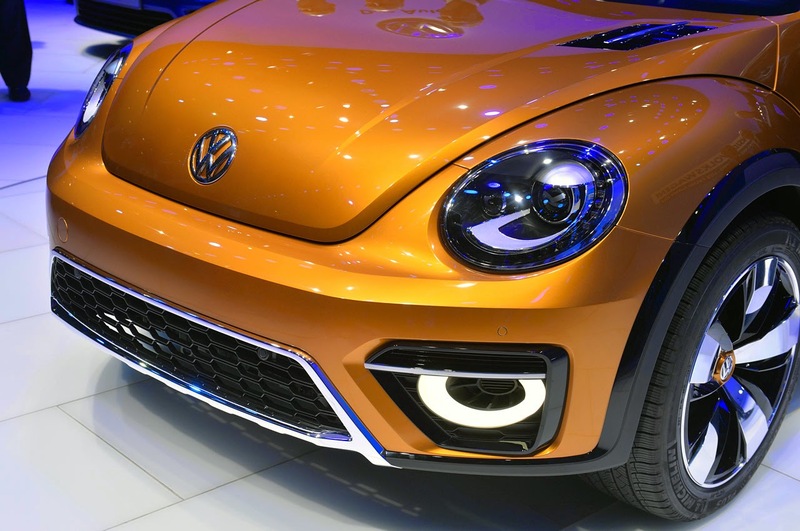 However, the ride height grows 0.4 inches compared to the standard Beetle to match the more rugged look, and the track expands 0.6 inches. 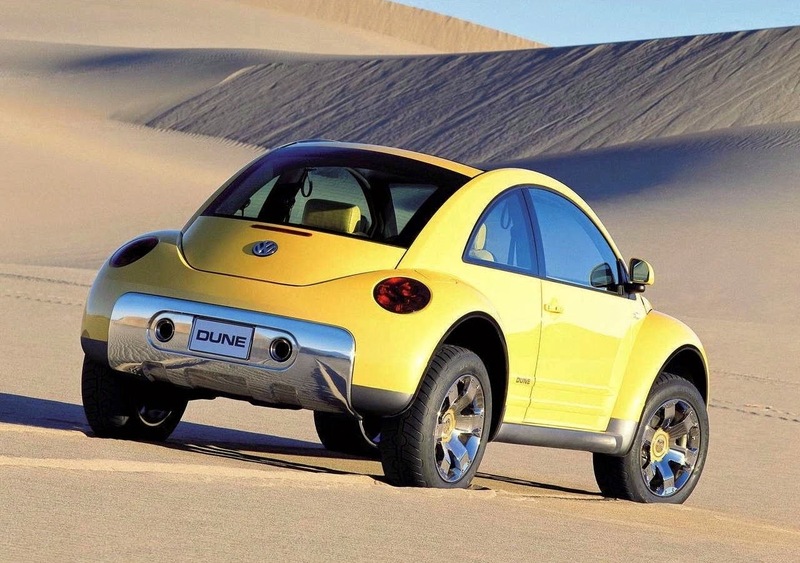 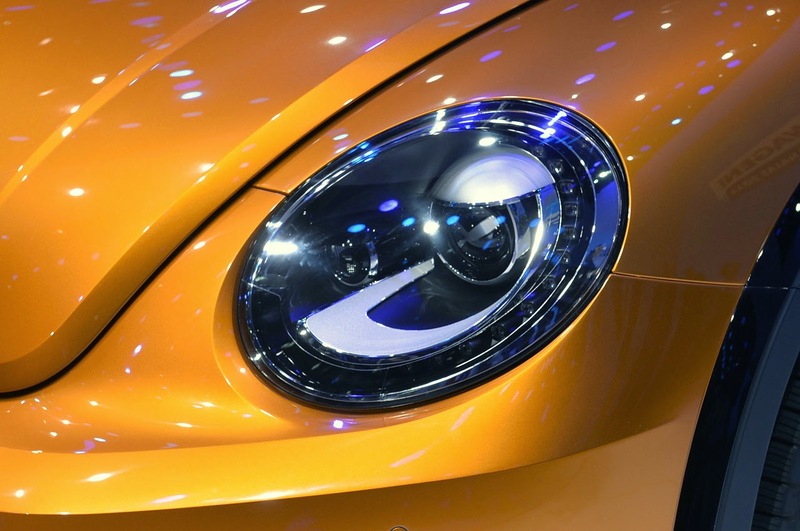 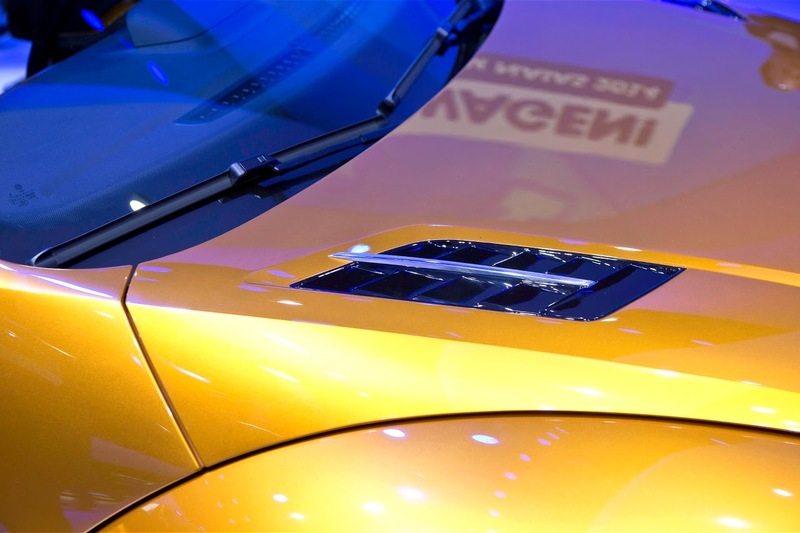 The Dune Coupe will go on sale in the first quarter of 2016, and the convertible will follow in Q3. 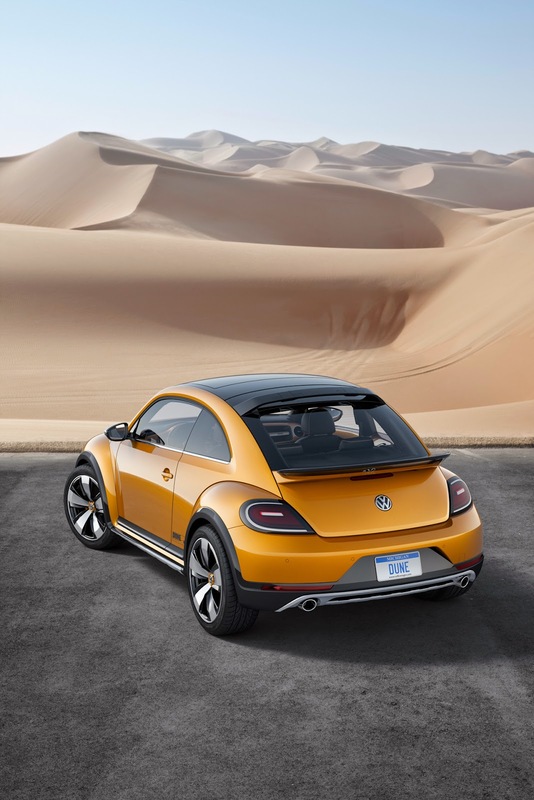 Buyers will be able order the offroad-inspired models in Sandstorm Yellow, Pure White, or Deep Black Pearl. 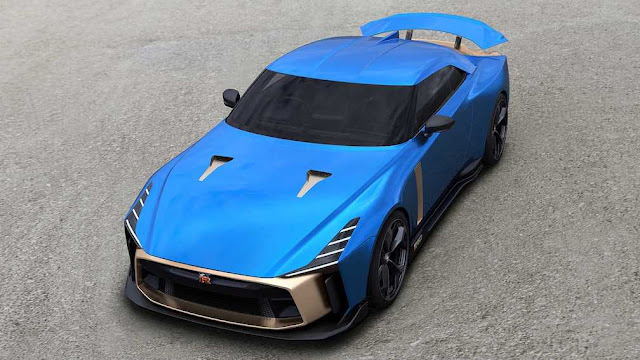 The show car had a 210 hp, 2.0-litre turbocharged four-cylinder with a six-speed dual-clutch gearbox routing power to the front wheels. 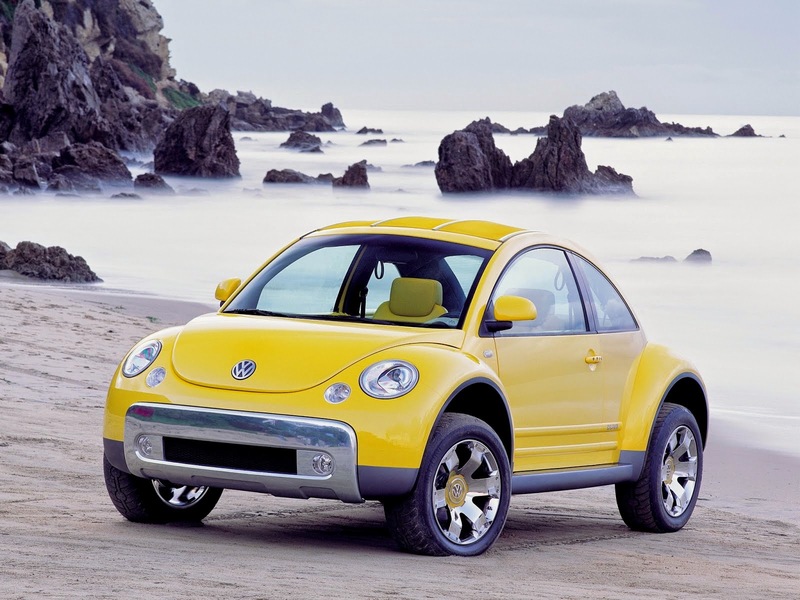 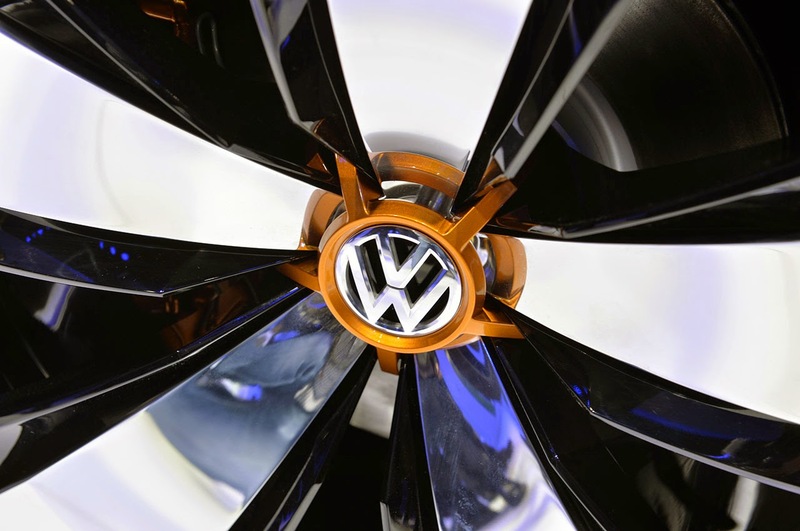 The whole package is presented in a nice metallic sunrise yellow Volkswagen calls the Arizona. 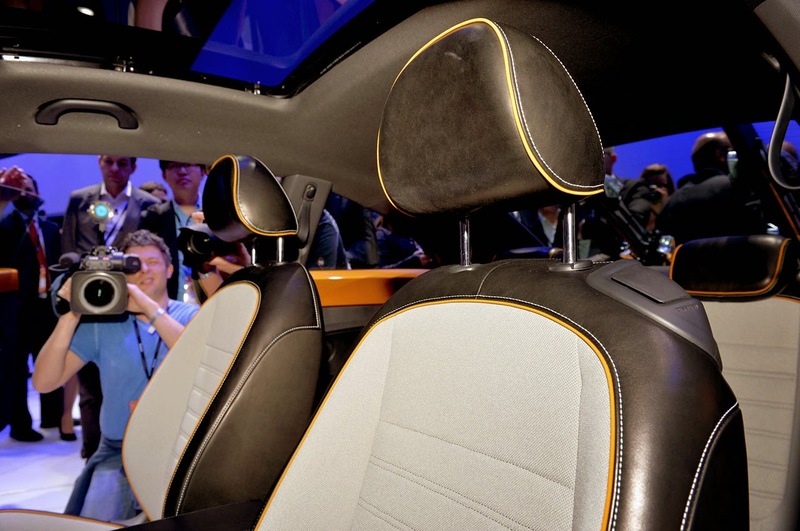 The interior is equally un-concept-like. 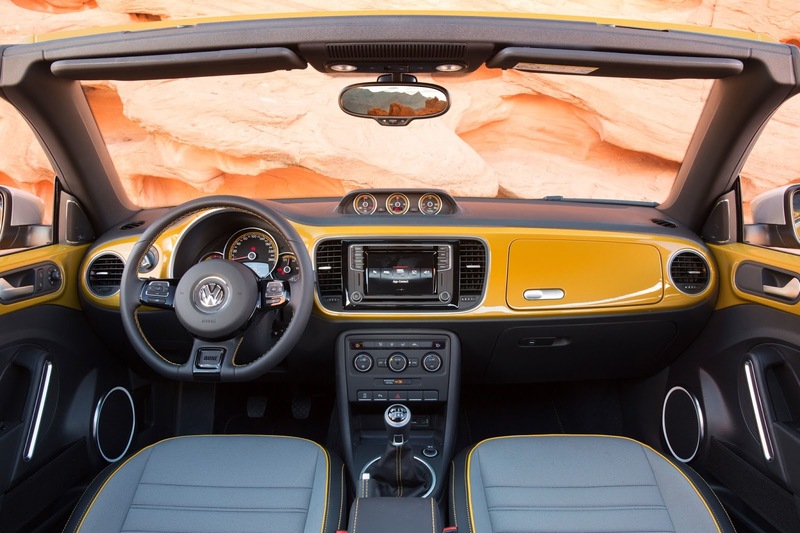 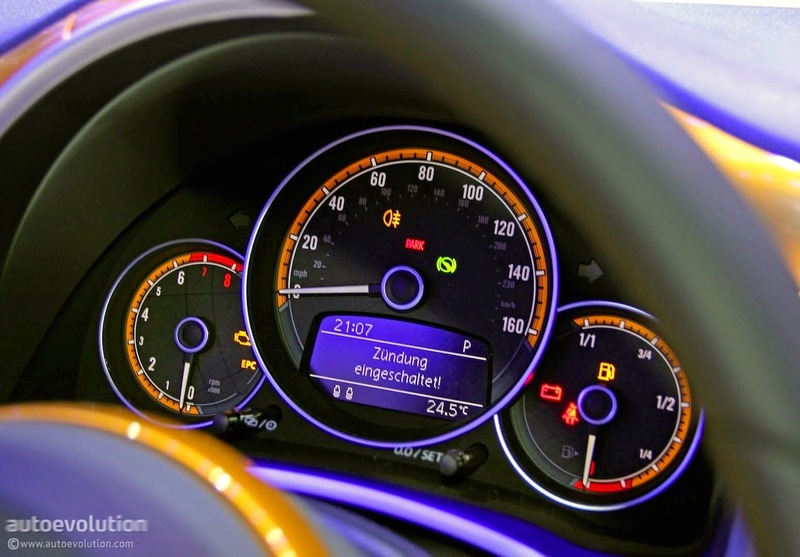 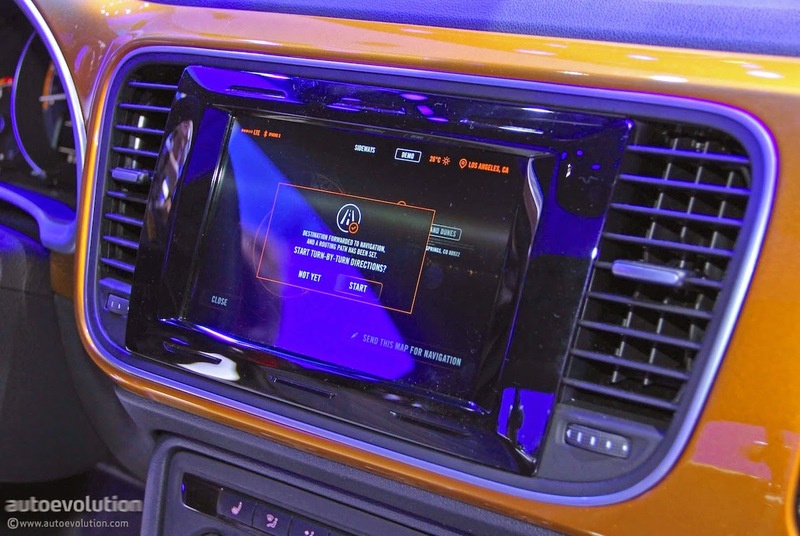 The Beetle has a bigger 7.7-inch infotainment touchscreen with its menu color-coded to the body, a grab-handle in front of the passenger and the alcantara seats from the R-Line package. 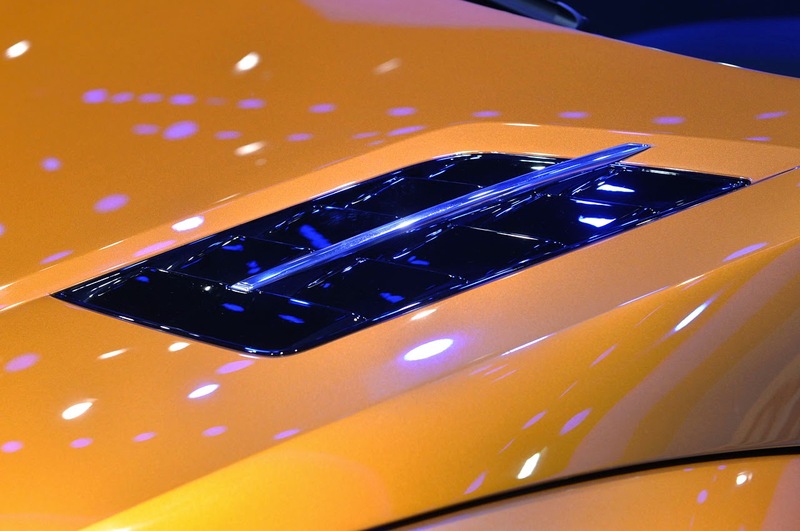 1967 Ford Mustang GT500 "Eleanor"